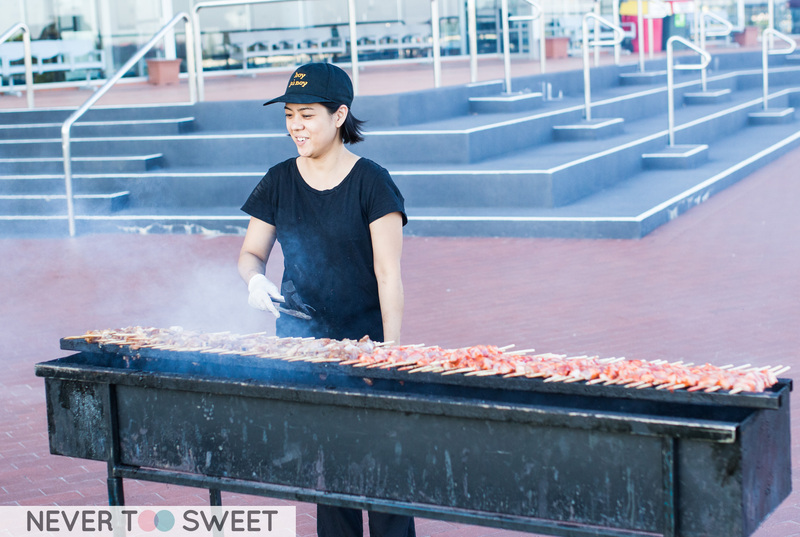 Dearest Readers, did you know the Melbourne Food and Wine Festival is on from the 27th of February to 15th of March 🙂 As a foodie it’s always an exciting time look at the events calendar and pick a couple to go to, food is always good and generally so much fun. 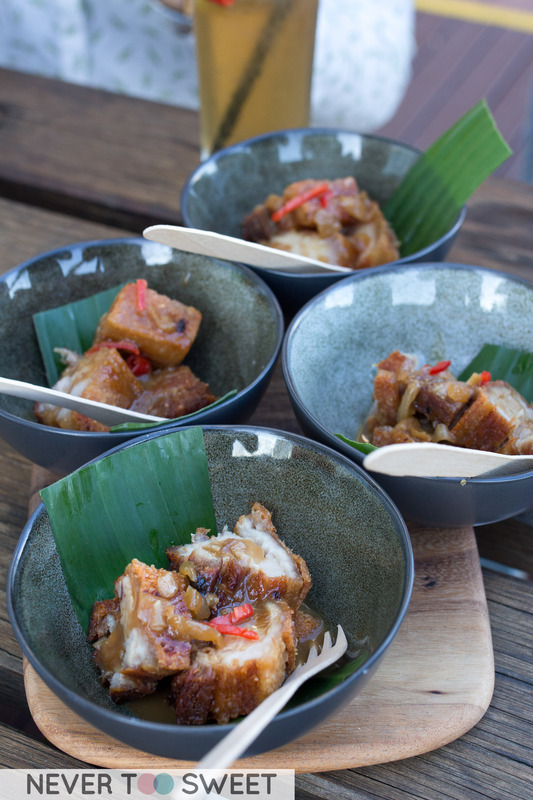 Talking about events, I have one you might be interested in going this weekend and that is the Flavours of Asia Market Festival on the 28th of February (Saturday) at Caulfield Racecourse. 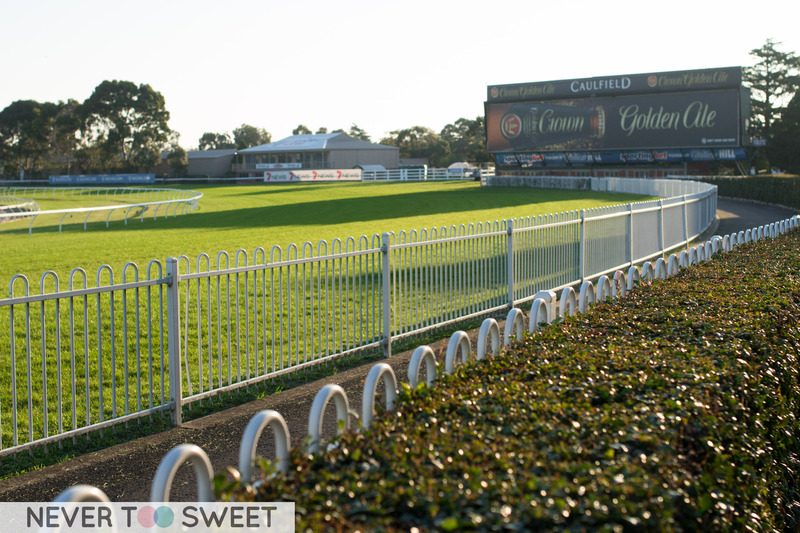 This Saturday it’s not only going to be the Blue Diamond Stakes Day at Caulfield, but they are also going to host a Flavours of Asia market with a range of Asian food stalls which include, Wonderbao, Hammer & Tong and Hoy Pinoy 🙂 Mr Bao and I were lucky enough to be invited to the preview even last week and we were very impressed with everything. The night started with the lovely bartender making us the market’s featured cocktail named ‘Market Mule with a Kick’ cocktail which is a combination of vodka, ginger ale, lime & chilli. I quite enjoyed the cocktail and found it to be quite sweet (the way I like things) and the hint of chilli made it even more refreshing. It probably could have had a little more vodka in it to give it that extra kick, but given my low tolerance in alcohol this was good for me. 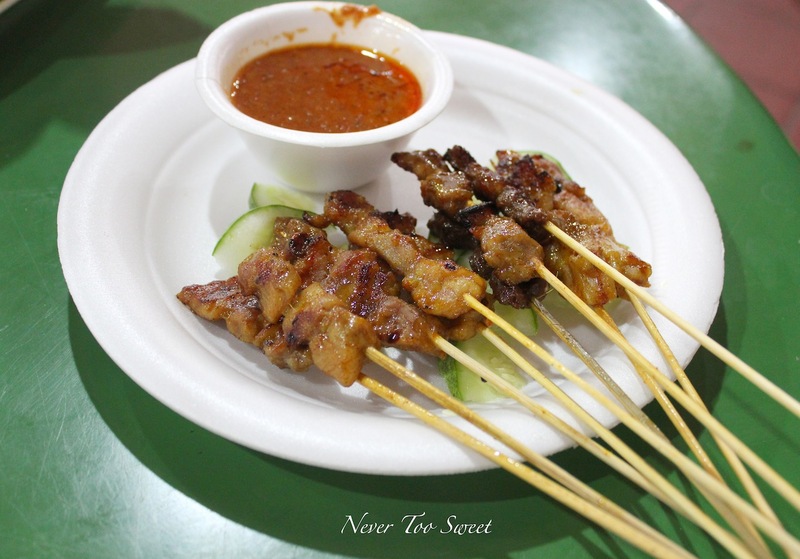 We were then offered some canapés from Hoy Pinoy which is a Filipino BBQ and Street Food stall, I’ve had some of their skewers at the Queen Victoria Night Market, before so I knew this would also be amazing. 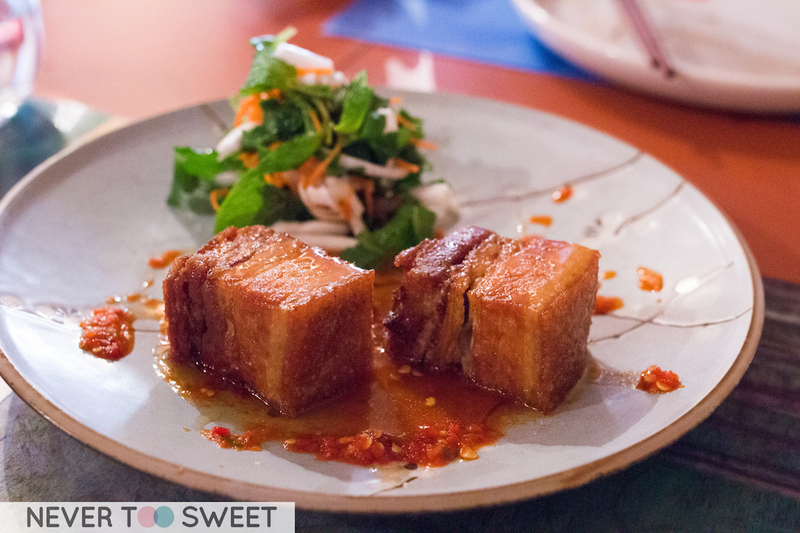 This is the Lechon Kwali slow braised & crispy fried pork belly with buck, chilli and yemma sauce. 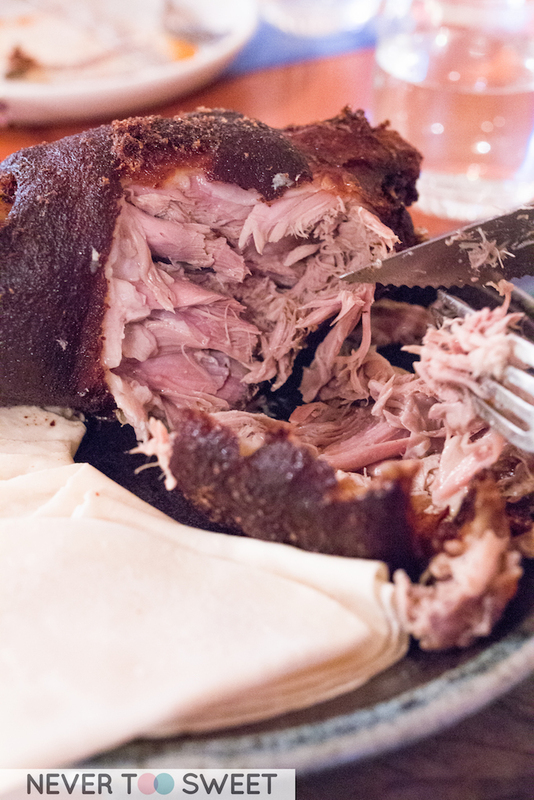 It had one of the best crusts on pork belly I’ve had, but the meat itself remained soft and tender! Highly recommended dish! 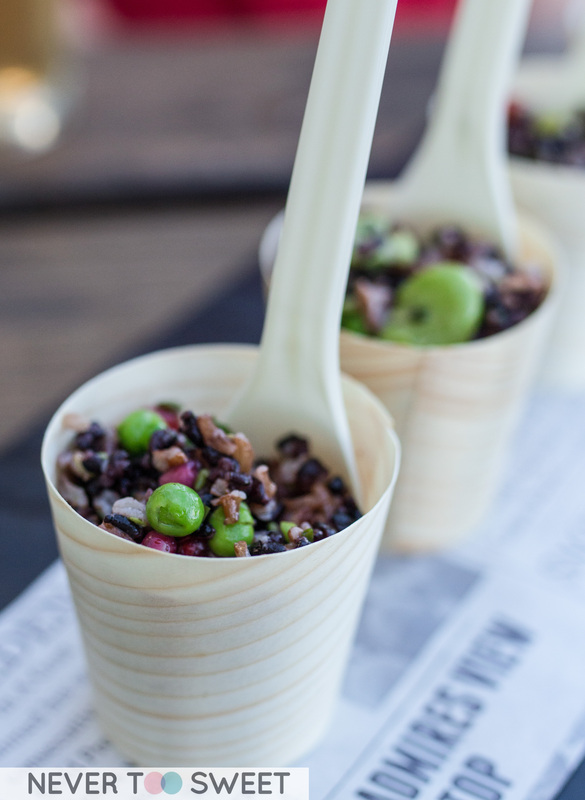 Moving onto a palate cleanser, this is the Red and Black Rice salad from Hammer & Tong, which had green peaches and also pomegranates. It was probably a little too green for Mr Bao’s liking but haha I quite enjoyed it and think this would be perfect to take to work for lunch. You should always except to see Bao (Buns) at an Asia food market haha so there was definitely Pork Bao’s from Wonderbao. It’s been a while since I’ve visited Wonderbao the dough was still just as fluffy and filling was equally tasty. Mr Bao was the photographer that night and he wanted to take a photo of the filling to show you ~ As you can see has generous juicy BBQ Pork filling. While we were enjoying the canapés and cocktails, we started smelling charcoal and saw on the far left corner of the racetrack was a lovely lady from Hoy Pinoy making their famous skewers. Can’t wait to devour these! 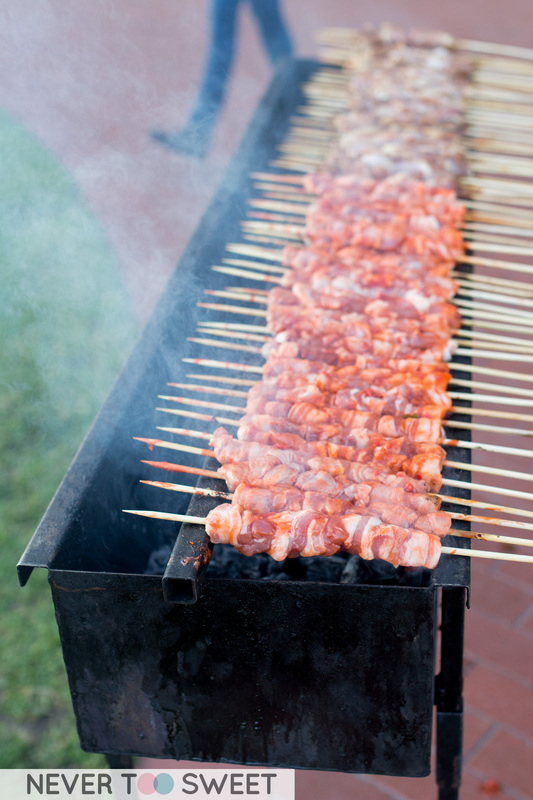 Wouldn’t it be nice to have a skewer grill at home? 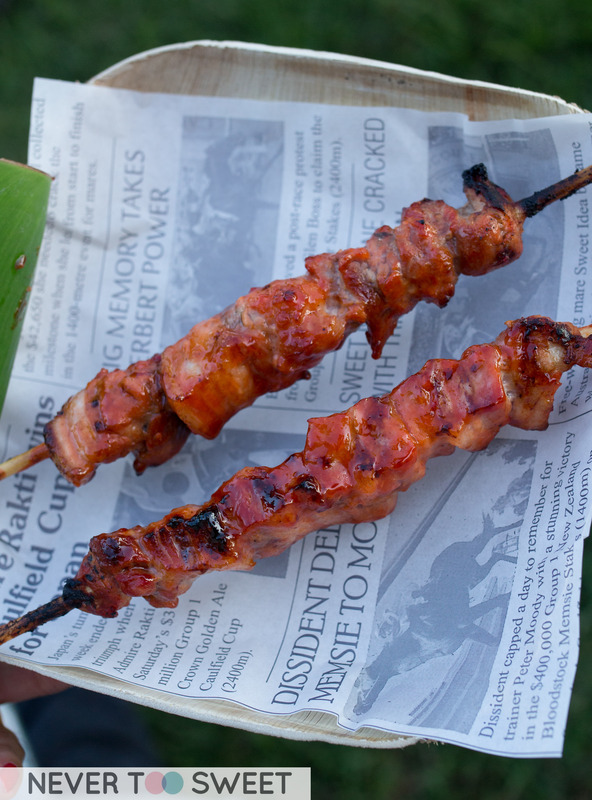 We started with the Inihaw na Baboy – Pork Belly Skewers with a banana ketchup glaze, it can get messy eating these skewers but it’s worth it. I’m slightly addicted to that sweet sticky banana ketchup glaze and those crispy bits. 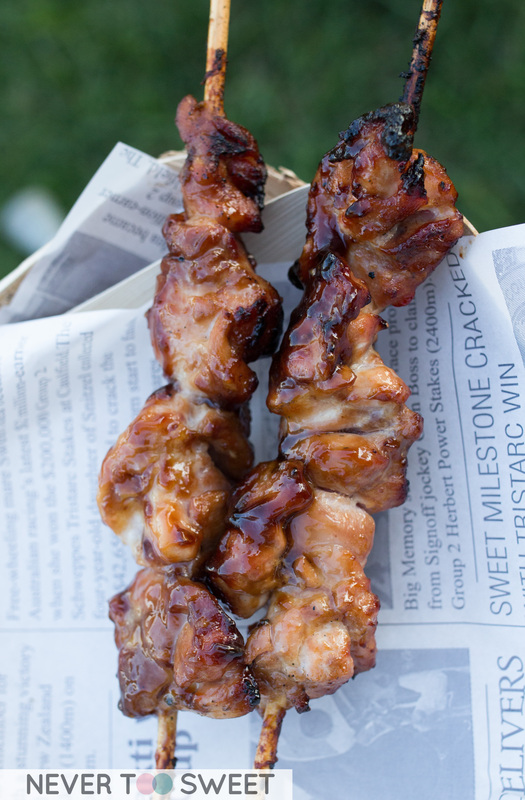 Even though we enjoyed the pork belly skewers, the Inihaw na Manok chicken skewers in traditional soy glaze I think it’s very similar to chicken adobo and was the clear winner for me. Not sure if it was the succulent chicken or simply the soy glaze but it was fantastic. I have to admit I was already getting a little full by this stand, but there was more food coming, next we moved inside and were each given a Braised Pork Belly Gua Bao and another bao with fried tofu. It also came with picked mustard, coriander, cucumber, picked carrots and crushed peanuts. 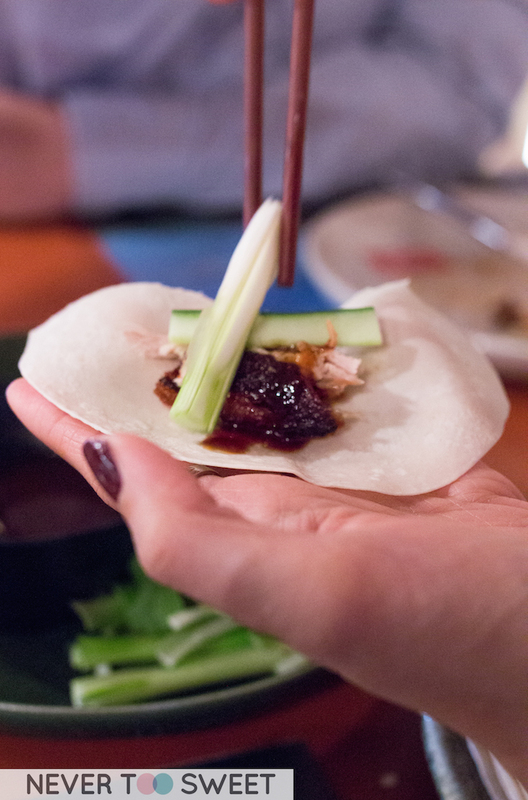 The gua bao’s already had hoisin sauce and all we had to do was add the condiments ourselves. I really liked this idea as I don’t like it when there’s too much picked mustard. 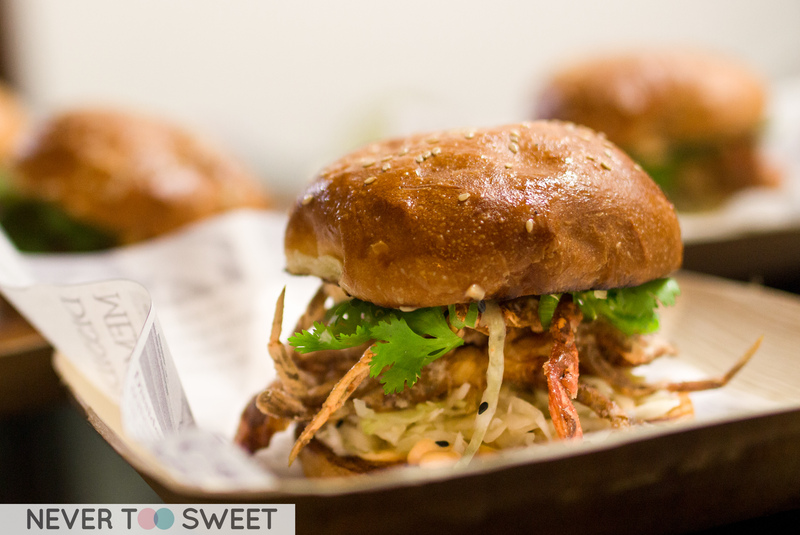 We then met Andrew Ward from Hammer & Tong, we weren’t allowed to just sit and wait for our next course 😛 we were asked to get up and learn from the Master how to make their ever popular Soft Shell Crab burger! I have always enjoyed the soft shell crab burgers at Hammer & Tong, the crab was always crispy with a very light batter and not covered in heavy dough. I found out that night the secret was actually tapioca flour as opposed to wheat flour! 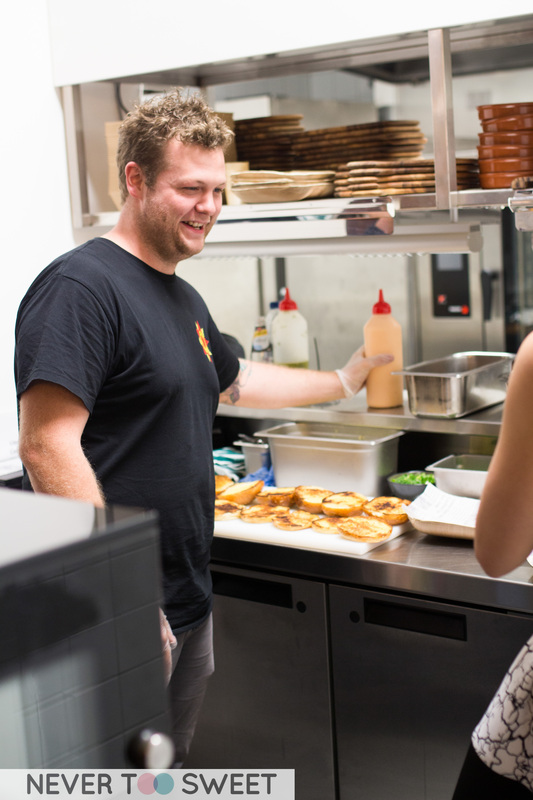 Andrew said they can make up to 10 burgers in 3 minutes at the night markets! End result is this delicious brioche burger with freshly fried soft shell crab, salad and some mayo delicious! 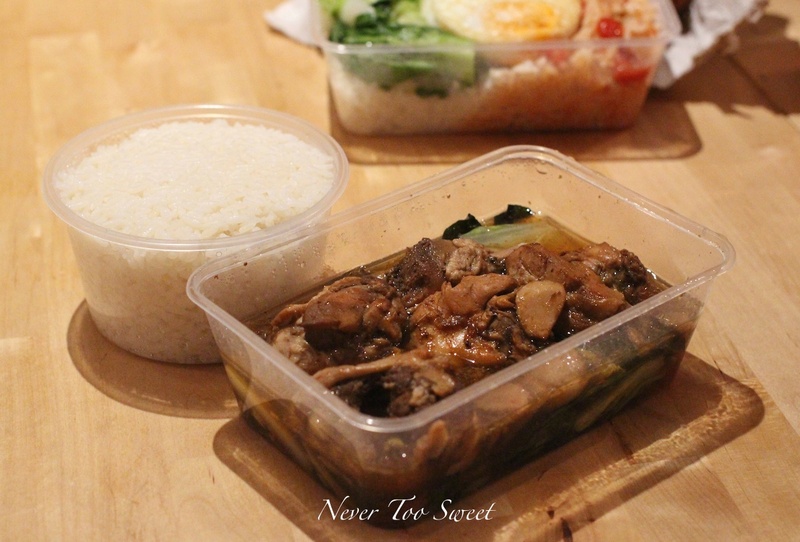 Another highly recommended dish you must try at the Flavours of Asia market or at their cafe in Fitzroy. I really enjoyed the preview event and wished we didn’t have other commitments so we could go again! 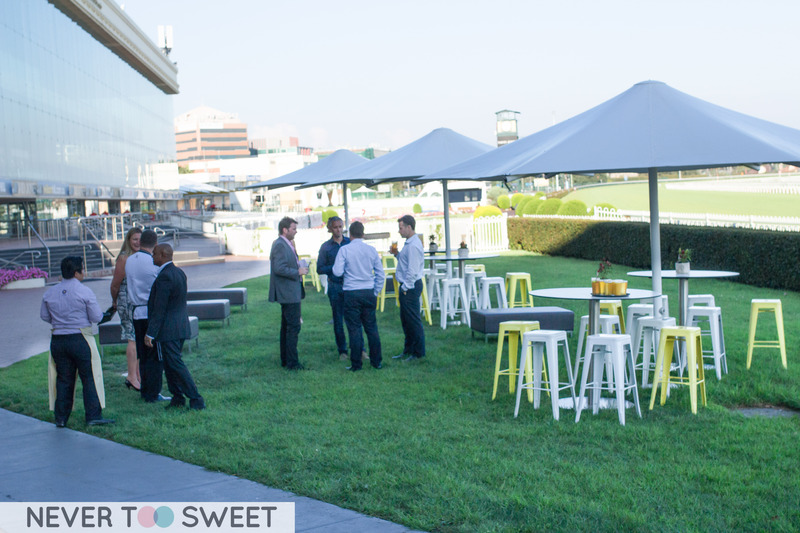 To enter Caulfield Racecourse it will be $20 admission fee for adults, $10 for Concession and free entry for kids 13 for more information check out their website here. I’ve recommended my manager and colleague and they’re both going so hopefully they’ll enjoy the food as much as we did! UPDATE UPDATE! 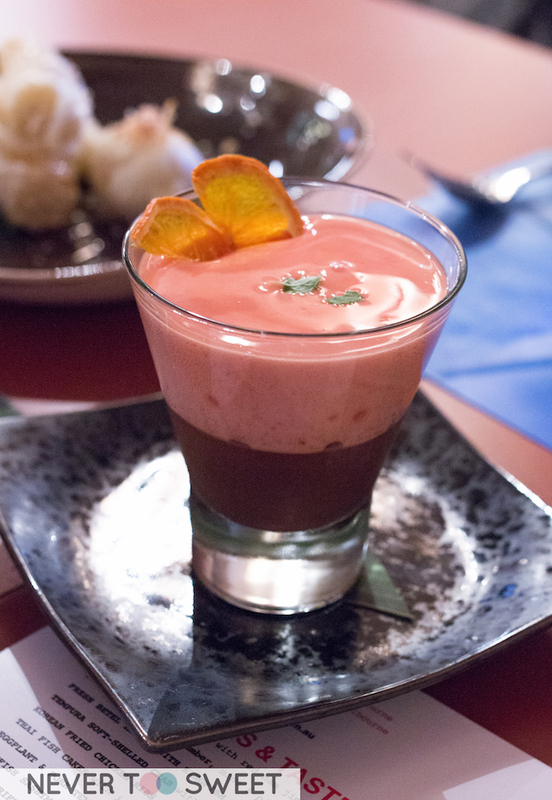 I’ve just been notified I can offer 1 Reader two VIP Tickets to the Flavours of Asia Market with your own Picnic Suite! 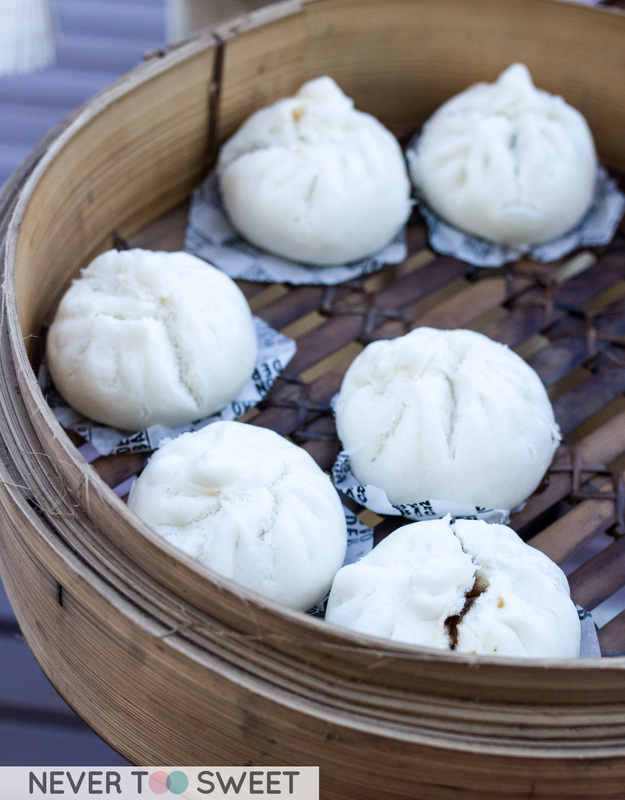 – Leave a comment and tell me have you tried Ice-cream Gua Bao (buns) before? – For more entries please ‘Like’ me on Facebook and Follow me on Twitter ~ If you’ve already done that please let me now! Thank you! – Winners will be chosen by me personally and announced on this blog and notified via email on the 27th February and tickets emailed to winner. 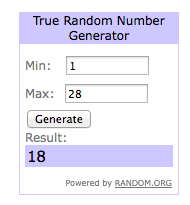 Congratulations Gary James, I have emailed the VIP Tickets to you! 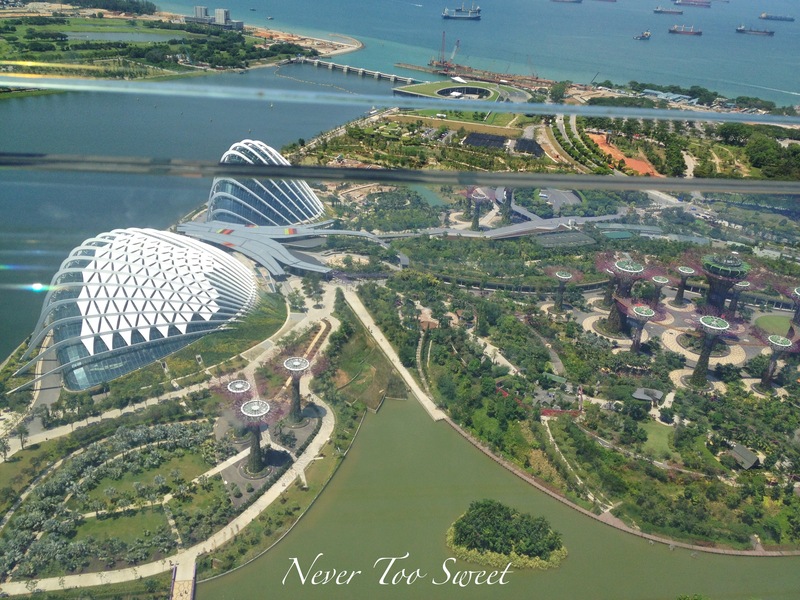 Mr Bao laughed and rolled his eyes, when I told him, “I’m going to start my blog post with the following statement – I am a social butterfly”. I’m not sure what’s so funny about this statement, because it’s very true! I love socialising, meeting new people, making new friends:) Fellow Wong (that’s our nickname for each other since we have the same surname haha) is one of these new friends I have made, we met through another friend last year and have kept in touch since then. If it wasn’t because of a busy work/life schedule and distance of where we live, I’m sure we would met up more. 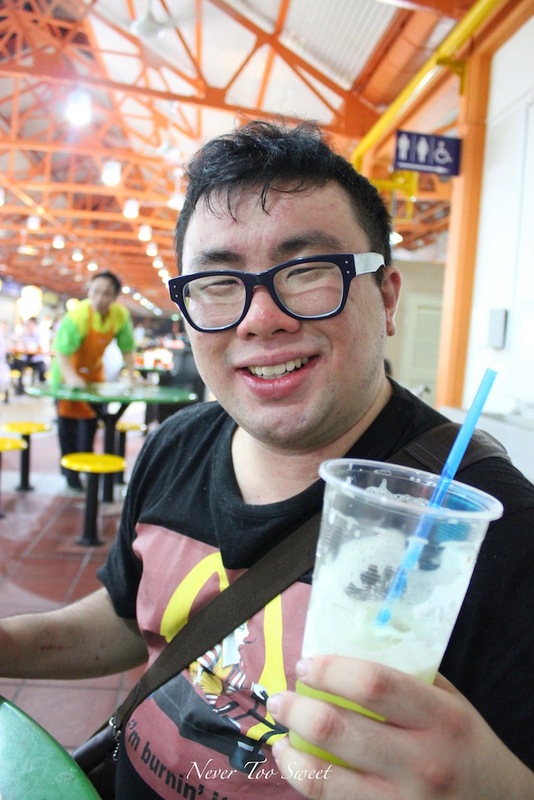 Anyhow, the sad news is Fellow Wong is relocating again, he is originally from Sydney, this time he is moving to Singapore. It’s a great move for his career and he’s definitely someone who likes a new challenge so we’re very happy for him, however, at the same time it’s sad to see a new friend leave. There’s a few more weeks before he moves, but we wanted to catch up a few more times. 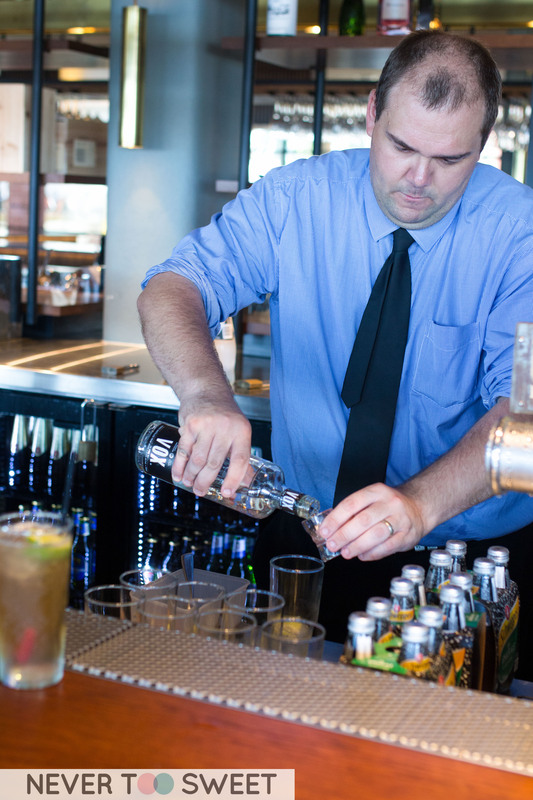 That’s how we ended up having lunch at Lucy Liu Kitchen and Bar, which is the new venture from Michael Lambie (The Smith, Circa), Smith Borg and Zac Cibbes. I had a look at the menu before booking, and it gave me the impression of so modern Asian with Thai and Korean fusion. 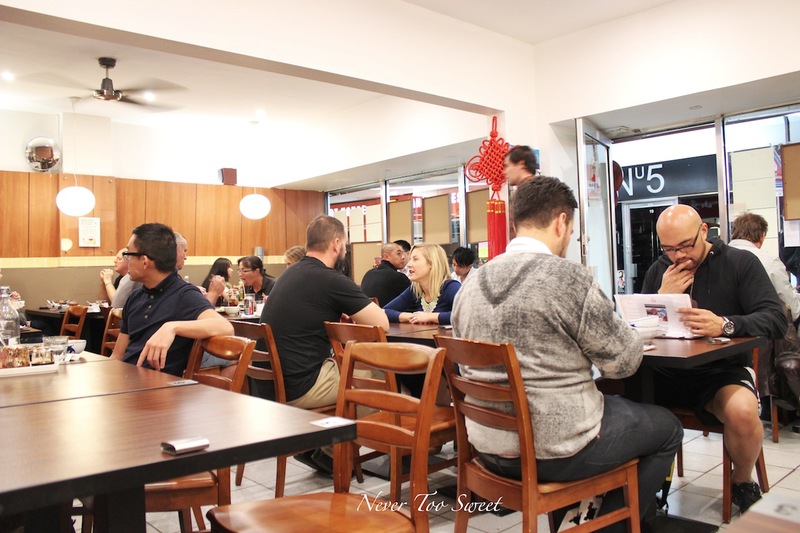 It seems to be on the rise with the number of modern Asian restaurants in Melbourne. The boys both shared a Kirin Apple cider, I didn’t know that Kirin produced ciders because I’ve always associated them with beer hehe I had a sip and found it to be quite crisp, but not too dry. 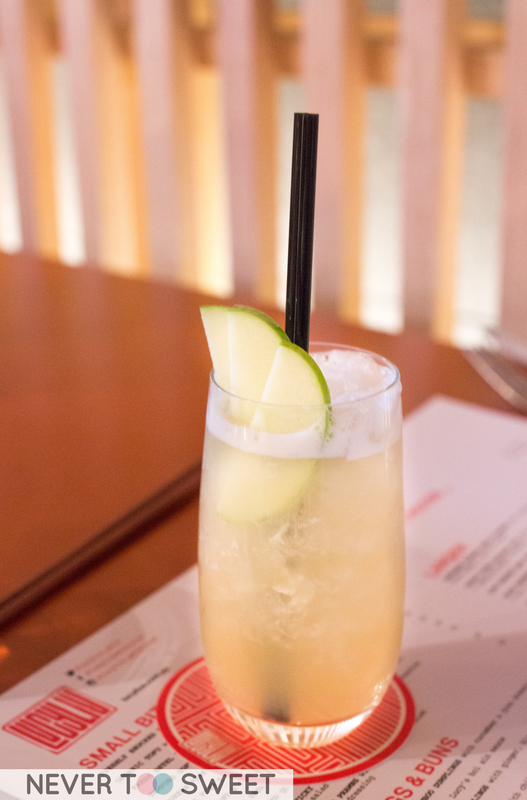 I got a mocktail the Koh Tao Cooler with Apple, honey, apple juice, crushed ice and topped with soda. 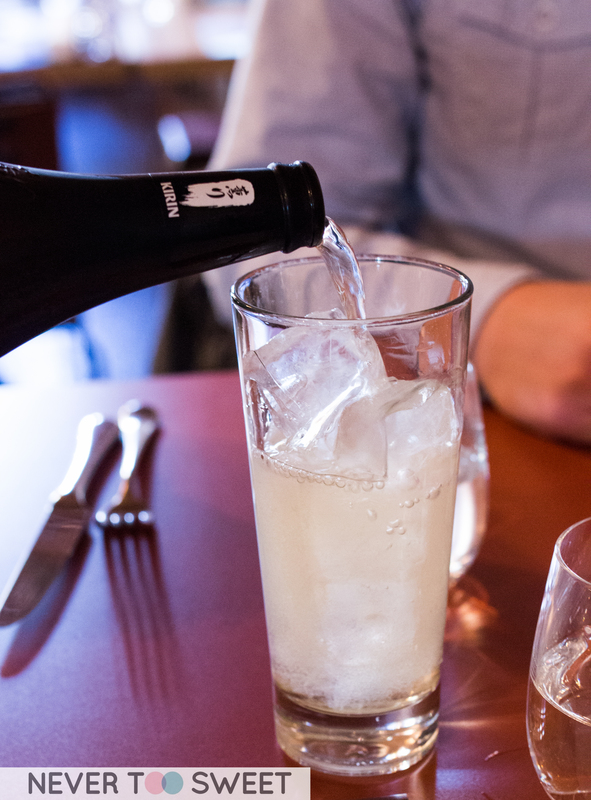 Really enjoyed this refreshing drink and paired quite well with our dishes with such rich flavours. 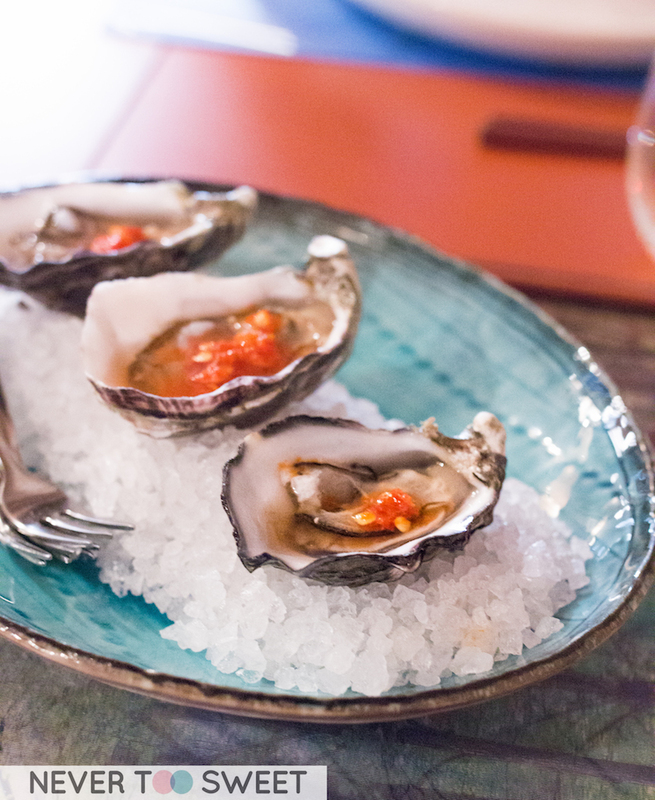 As a little starter we tried a freshly shucked oyster with red nam jim sauce. Haven’t had it with nam jim sauce before, found the slightly sourness helped bring out some of the sweetness from the oyster. 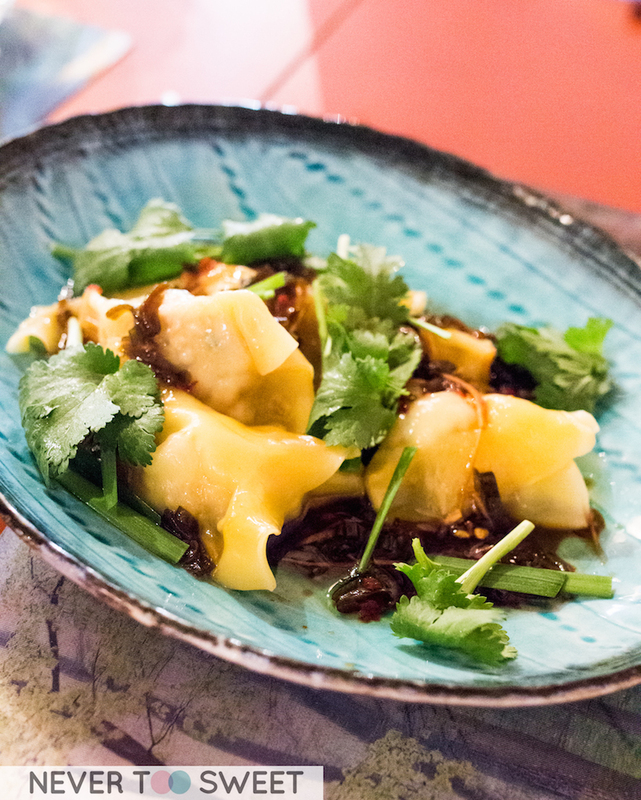 We then shared these Barramundi and scampi dumpling with chilli, ginger and spring onions. 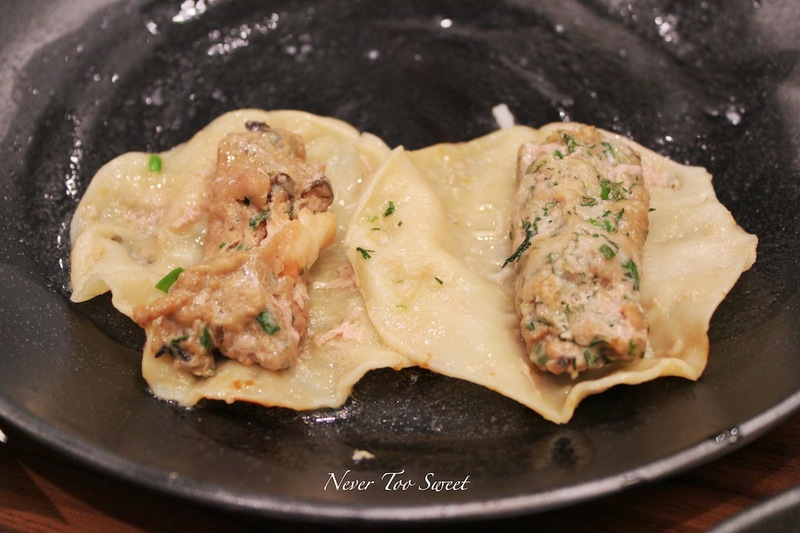 I’m usually sceptical of fish dumplings as they’re often quite fishy, but I was very impressed with these dumpling. They had a decent amount of filling and was actually quite tasty! Especially with the chilli sauce! 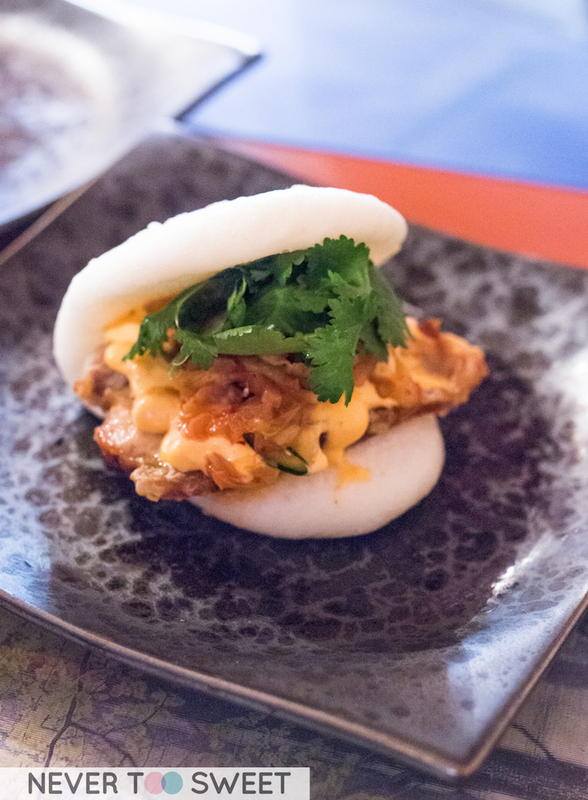 We then ordered a couple of buns to share, this is the Crispy Pork Bun with spicy kimchi and kewpie mayo. It’s so nice to see that Kewpie mayo is used more widely now and not only available in Japanese groceries. I’m addicted to it haha 🙂 The bun itself was soft and fluffy, however, I found the crackly wasn’t as crispy as we would have liked and found the pork to be slightly bland. This was my favourite! 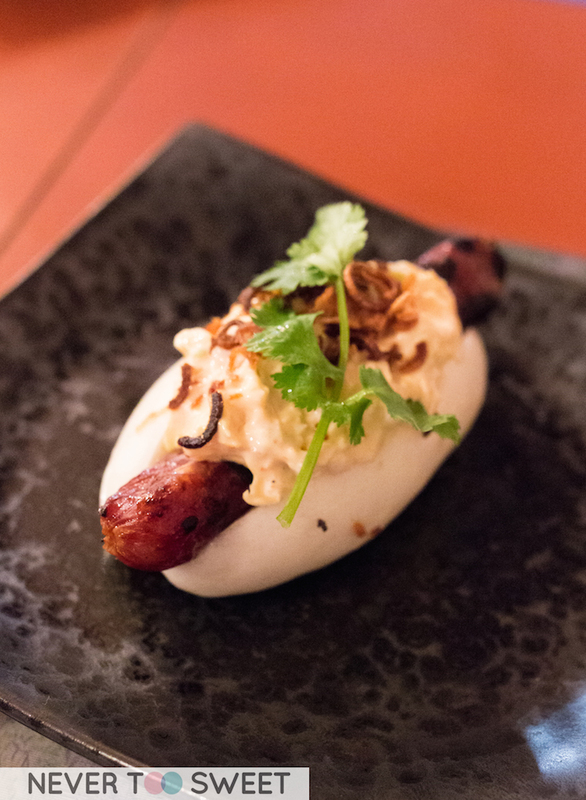 BBQ Lap Cheong ‘Hot Dog’ in a toasted milk bun with wombok coleslaw. 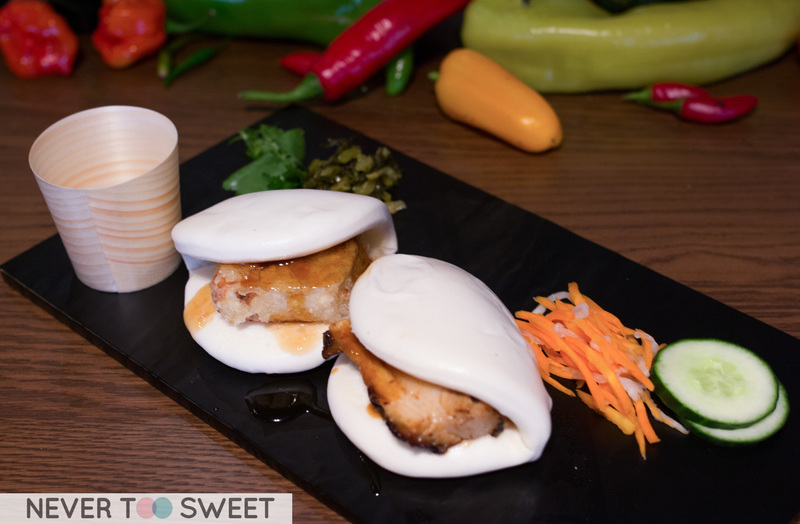 A yum cha you can find Lap Cheong buns but they’re definitely not as indulgent as this one with that wombok coleslaw which I’m pretty sure has egg and more kewpie mayo! I really enjoyed this and would recommend you trying it! This reminds me very much like that signature pork dish they have at Taxi Kitchen . I did find $20 for only 2 pieces of pork belly to be on the dearer side. It was also served a young coconut salad and red chilli. Unfortunately, we were a little underwhelmed as the pork was a little tough and once again under seasoned and not very sticky. 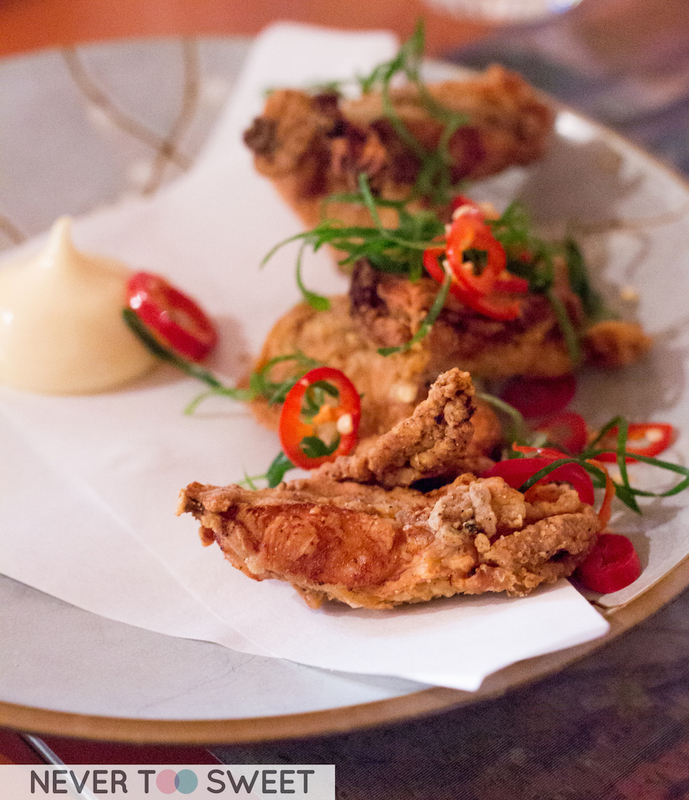 But then I was blown away again by the Korean Fried Chicken Ribs with kewpie mayo 🙂 The ribs were not greasy with the flesh still tender, it was slightly spicy probably because of the marinate, and dipped into Kewpie mayo perfect! 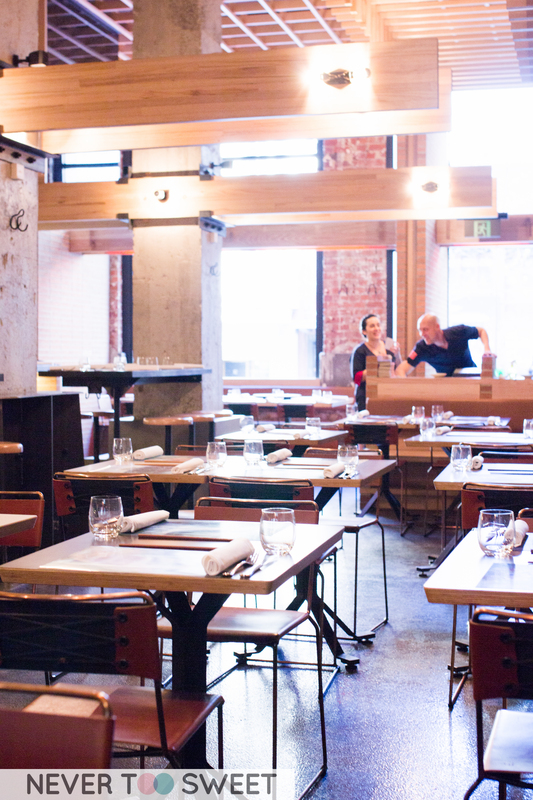 Just in case I forgot to mention, the menu here is designed for sharing as most places are now! We’ve had a fair amount of food, so we decided to only get one dish from the ‘Larger’ section of the menu. 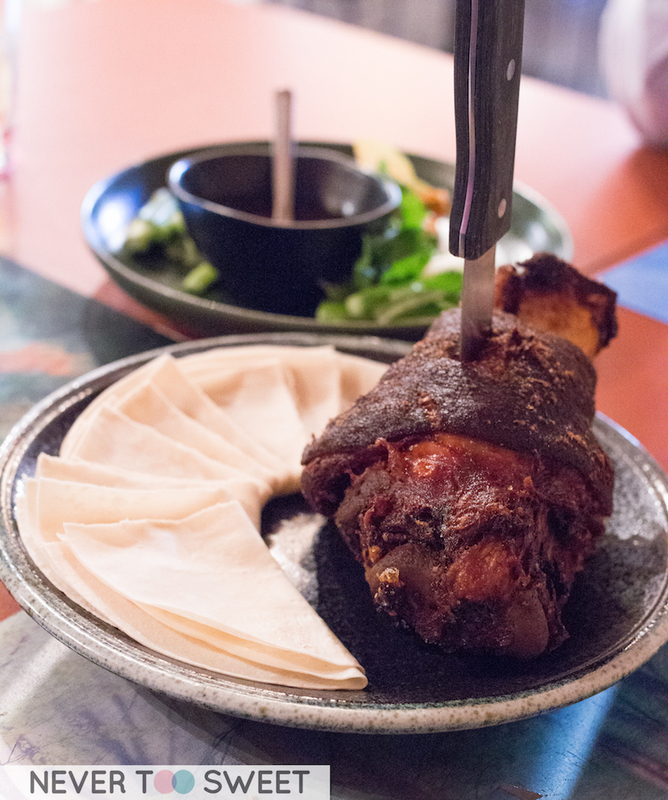 We decided on the Korean Style Crispy Pork Hock with apple kimchi salad, pancakes and hoisin sauce. 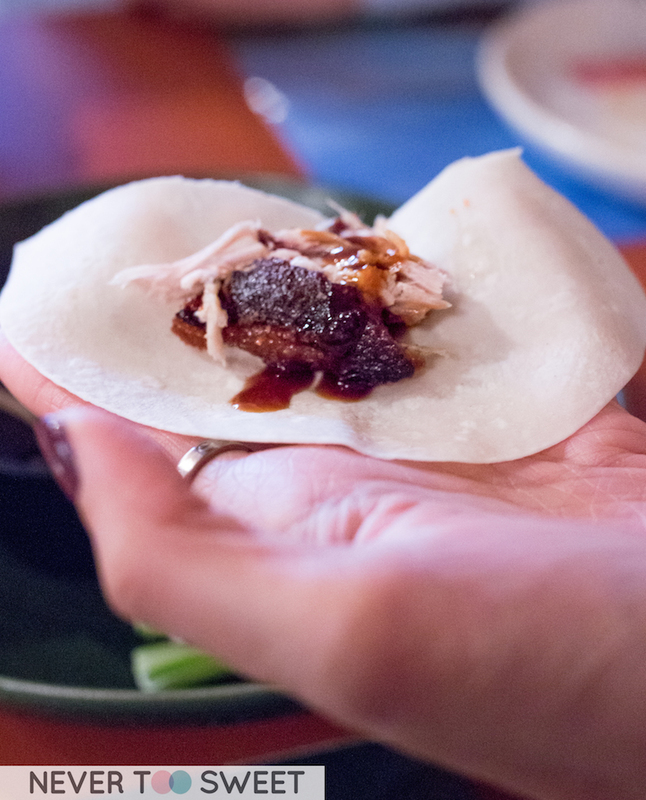 I would describe this dish like it a peking duck, but instead you replace the duck with pork! 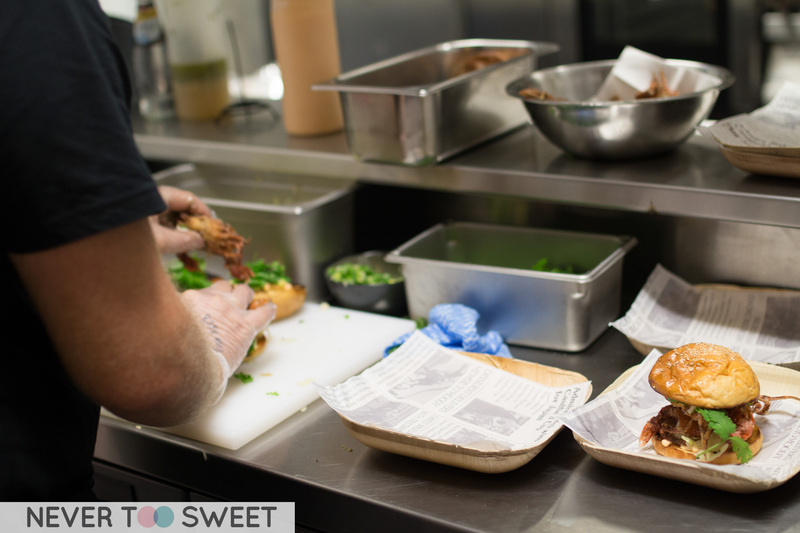 It’s quite simple, you hack into the pork hock, rip pieces off it, wrap it into the pancakes add a bit of the salad. Here comes some action shots for you! 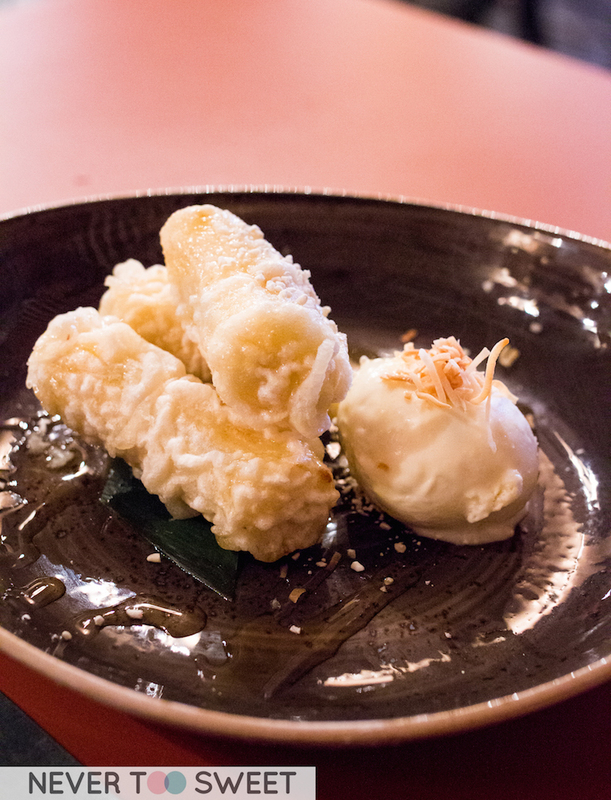 To make it easier for sharing, we got the Crispy Banana Fritters with coconut ice-cream and syrup. The batter in which the banana was coated in was thicker than I expected and not as crispy. Felt like a modern take and wasn’t as oily as the traditional one. Coconut ice-cream was creamy and nice with a sprinkle of toasted shredded coconut. As much as Mr Bao and I like going out and I love any excuse to dress up, put some make up on (sometimes perhaps too much lol) and head out for date night. Some days when I work from home, I literally roll out of bed in my pyjamas and will log onto my computer and stay in my PJ’s all day, with no make up on and put no effort into my look. 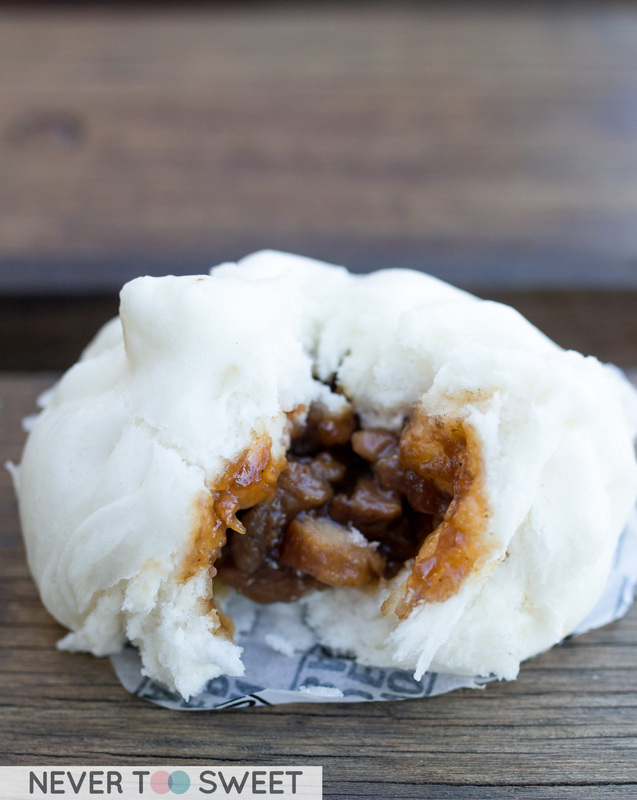 And on days like these I would usually ask Mr Bao to get us takeaway for dinner. But then there’s another issue, sometimes when I tell Mr Bao what I want he’ll accidentally forget (yes men) or order something else because he thinks I’ll like… But I think I’ve found a new solution for this 🙂 And that is to use an online takeaway website instead like Menulog. 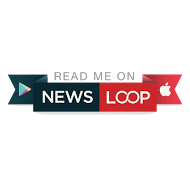 I was given a $30 voucher to try the services provided by Menulog, I’ve used another similar website before and found the interface to be more or less the same. 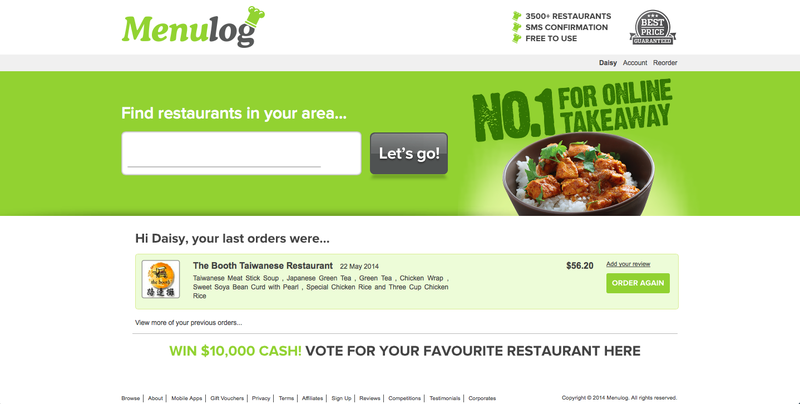 You type in your postcode/suburb and it will generate a list of restaurants who take orders and deliver in your area. 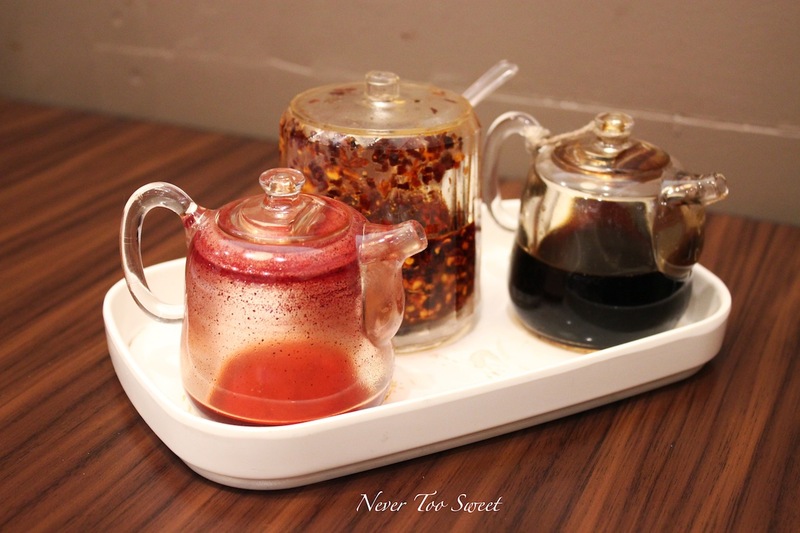 I let out a little squeal when I saw ‘The Booth’ on the list, because it is one of my favourite Taiwanese restaurants in Melbourne! As you all know my love for Taiwan! 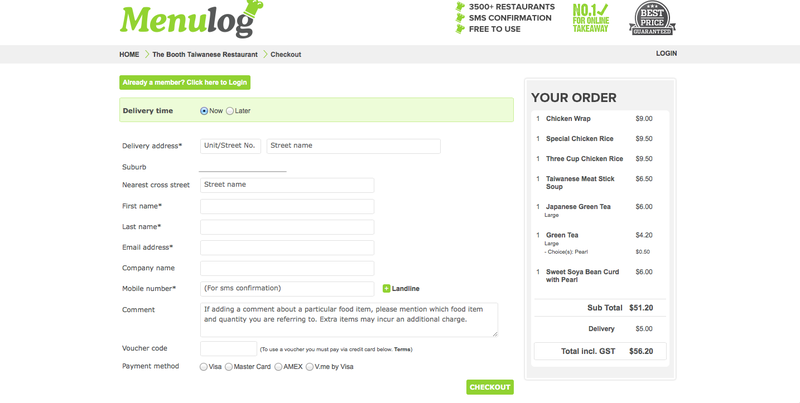 The next page is where you enter your delivery details and pay for the order. I really liked the function where you can choose when you want the delivery to be sent, so I can order my dinner at lunch time at work and ask for it to be delivered at a specific time. We asked the delivery to be sent ‘Now’ and we were immediately sent an SMS confirmation with an estimated delivery time of about 45 minutes. It arrived in about an hour which is slightly longer than we expected, but knowing how busy The Booth gets every night, we will probably order earlier in advance next time. 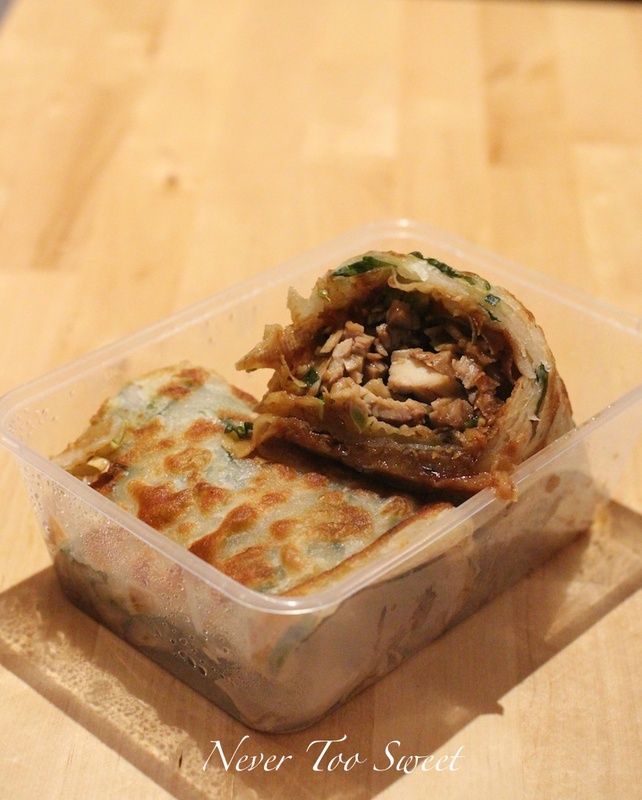 We shared a Chicken Wrap as a little appetizer, if you’ve haven’t had this type of Taiwanese wrap before, think of it as a Taiwanese pancake very similar texture as a Roti but a little more doughy with a crispy layer on the outside. 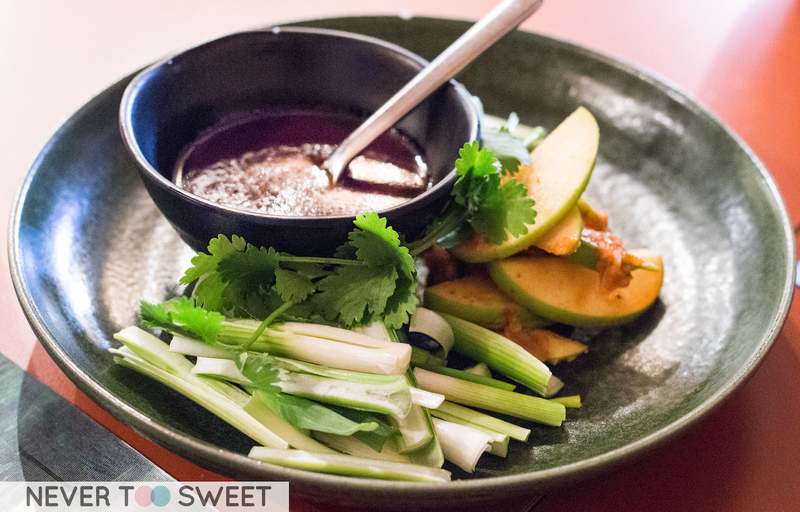 The filling is slices of chicken with a sweet sauce similar with Hoisen sauce. One of my favourite dishes from The Booth, the pancake was not as crispy as I’d like, but I understand because it was placed in a box and the steam would have created moisture and softened it. 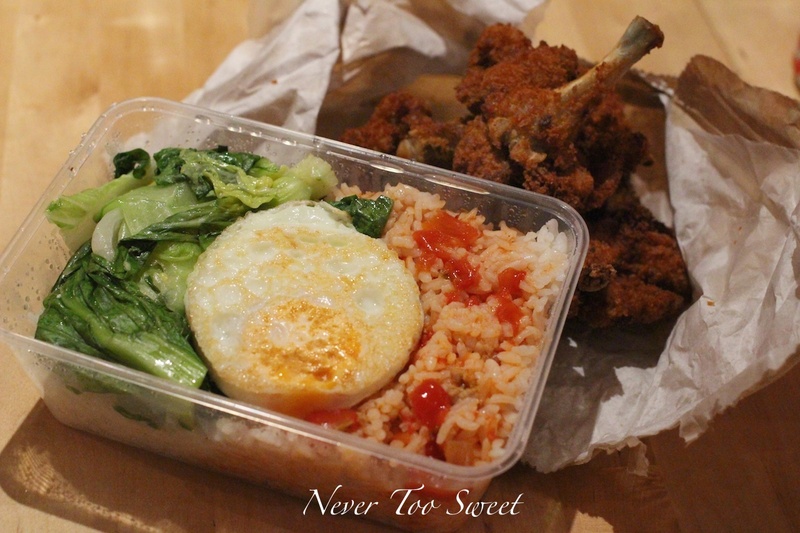 For my main, I got another usual Special Chicken Rice which is deep fried drumlets with rice, tomato sauce, fried egg and veggies. It’s a pretty affordable all this for only $9.5. 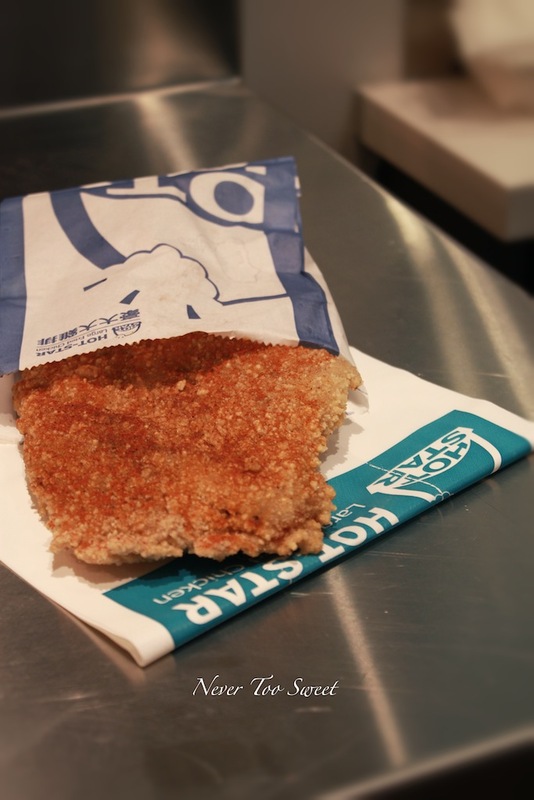 They used a paper bag for the fried chicken which arrived piping hot and still crispy and it tasted the same as it does in the restaurant. 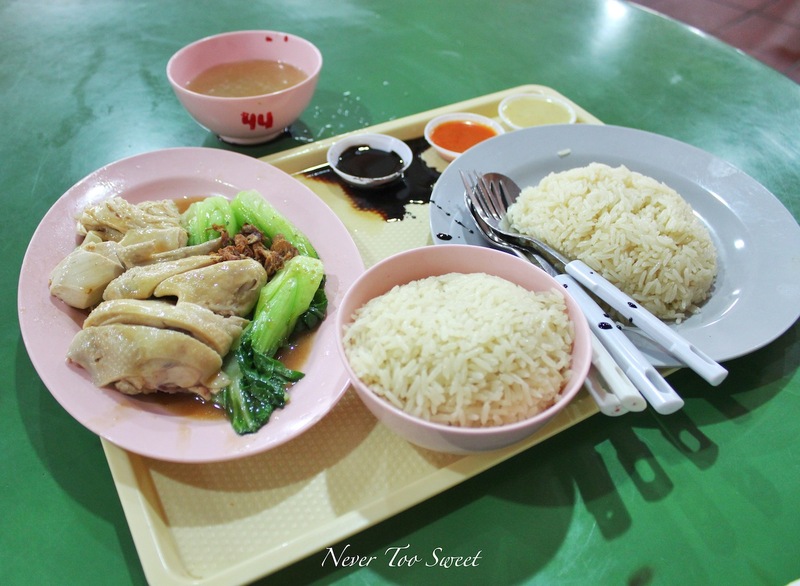 I’m not sure if Mr Bao has ordered the Three Cup Chicken rice before, but he felt like it that night. For those who don’t know Three Cup Chicken is given the name because it uses equal quantities of sesame oil, Chinese rice wine, and soy sauce. The chicken is then braised in these ingredients to make it into a stew. 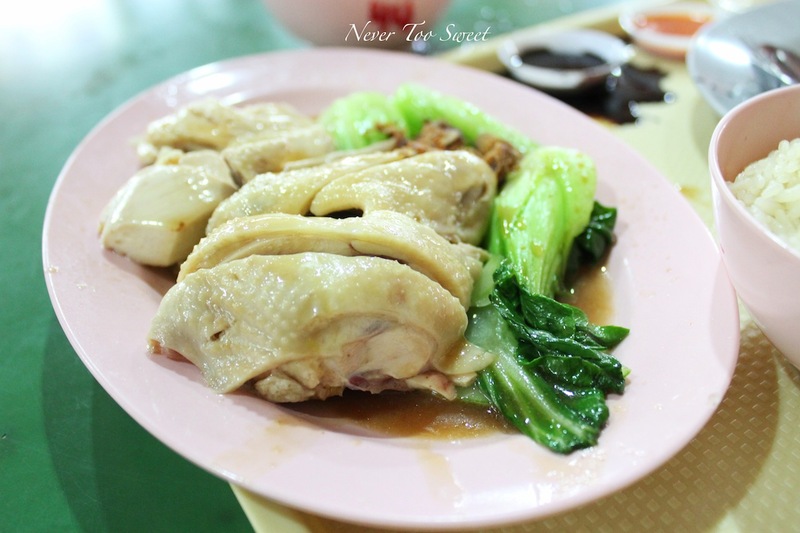 We both really enjoyed this dish and thought the chicken had great flavour and probably a more ‘takeaway’ safe dish to order, because it doesn’t change the texture or flavour at all. For those who have visited Taiwan you would know the Taiwanese love their desserts and The Booth do a great job in replicating these dishes. 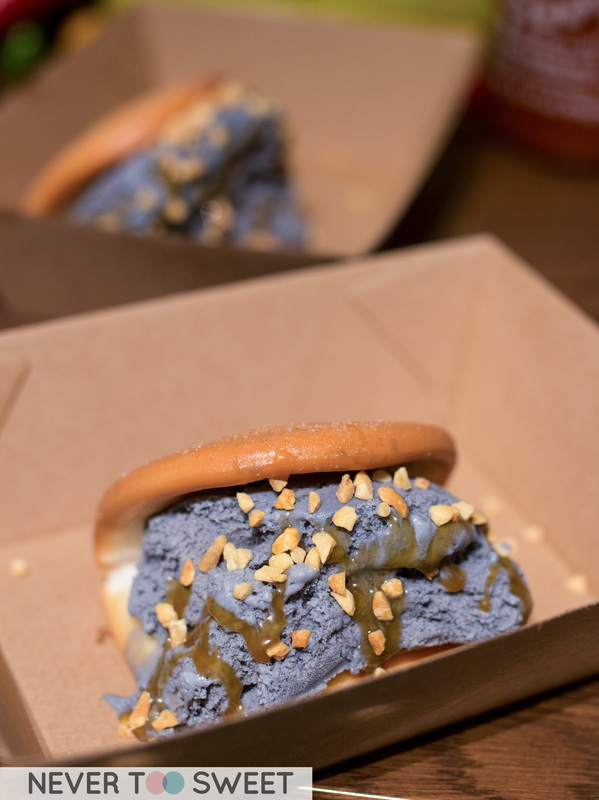 They offer the snowthies which is like a crushed iced dessert but the ice-cream is shaved so lightly that it has the texture of snow. Being realistic this is very hard to be delivered, but I was impressed with the selection of deserted they offered. 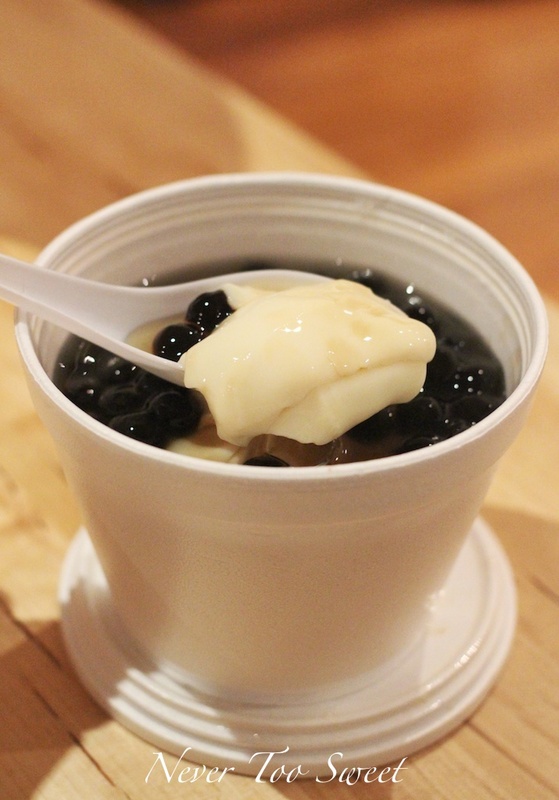 I chose the Sweet Soya Bean curd because it’s been a while since I’ve had that and paired it with pearls. It was the perfect way to end our meal and night. 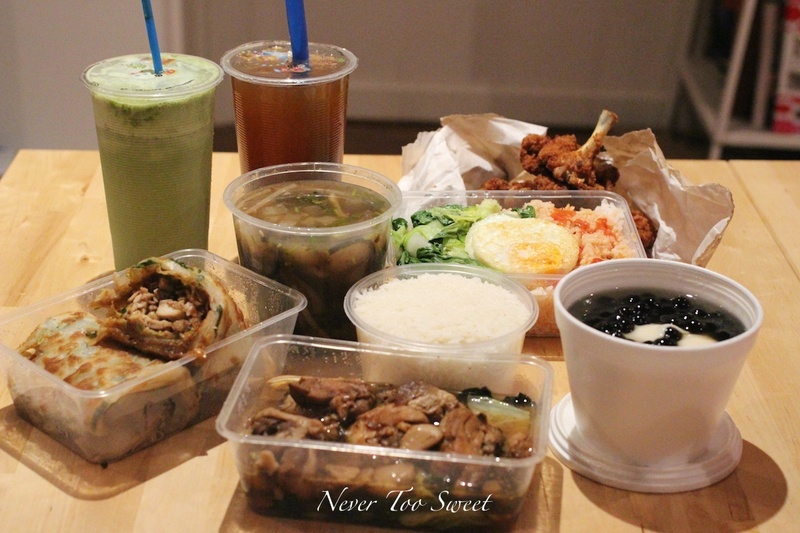 Overall, we enjoyed our experience ordering through Menulog, it was quick, easy and most importantly we got our Taiwanese food fix without having to go out 😉 If you haven’t tried ordering takeaway and having it delivered before, I would really recommend you trying because we all deserve a break once in a while especially working mothers! I have so much respect for you! 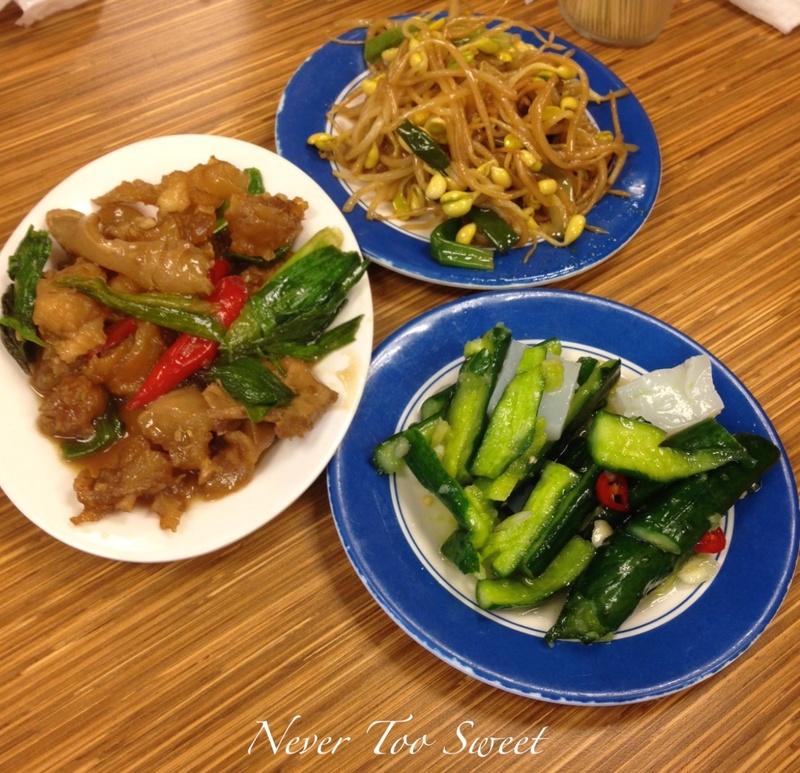 – Leave a comment and tell me how often you order takeaway and have you tried Taiwanese food before? Congratulations to Ben Travia you have won a $40 coupon to Menulog! I will be emailing you with the voucher and details 🙂 Thanks again for entering in the Giveaway! Daisy@Nevertoosweet and Mr Bao received a $30 voucher from Menulog the remainder of the bill was independently paid for. 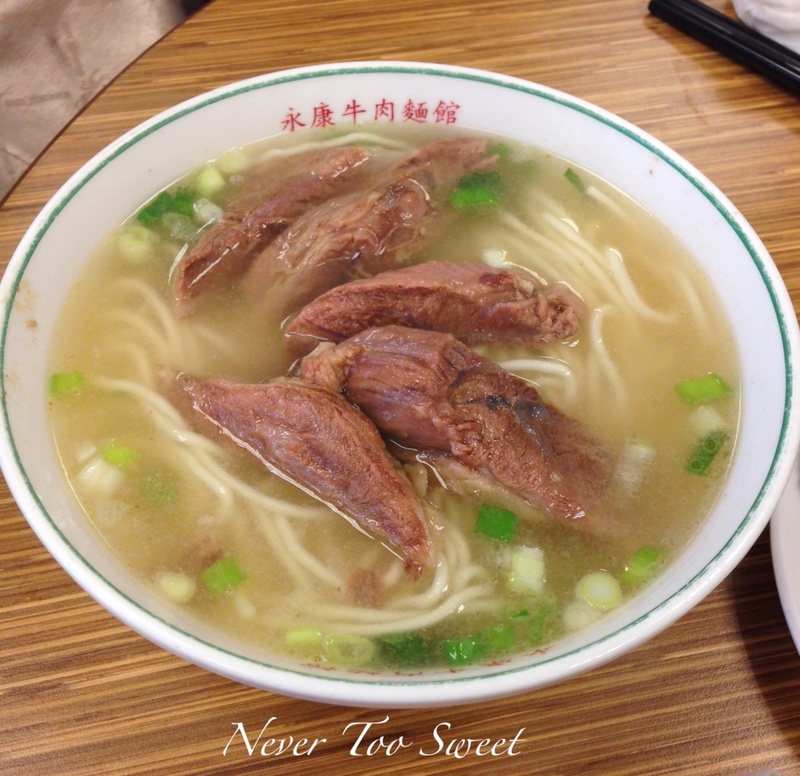 Even though I go to Taipei regularly, I still manage to find new and old eateries I’ve never been before. 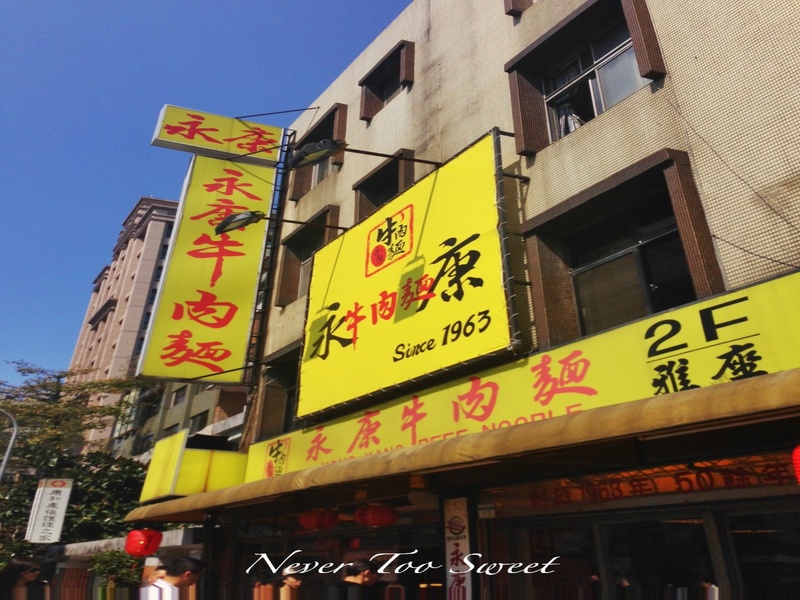 Yong Kang Beef Noodles (永康牛肉麵）is one of these places, it is one of the most traditional and well-known places in Taipei for beef noodles. It’s a very old school looking store and probably hadn’t been renovated since it opened, with tables and stools filling the restaurant to the brim. They open at 11am, and we got there at around half past, already there was a queue forming and we were told that it will be a 15 to 20 minute wait. We were given a small round table and shared with another party of 3, you don’t have a choice here. You either share a table or you’ll have to wait again for your own and they’re most likely not going to give it to you 🙂 This is quite a common practice in Asia ~ The menu is all written on the wall in Chinese, which is a little concerning because I’m not sure how non-Chinese speaking people will be able to order what they want. But perhaps if you ask the waiters or waitresses they should be able to help you. 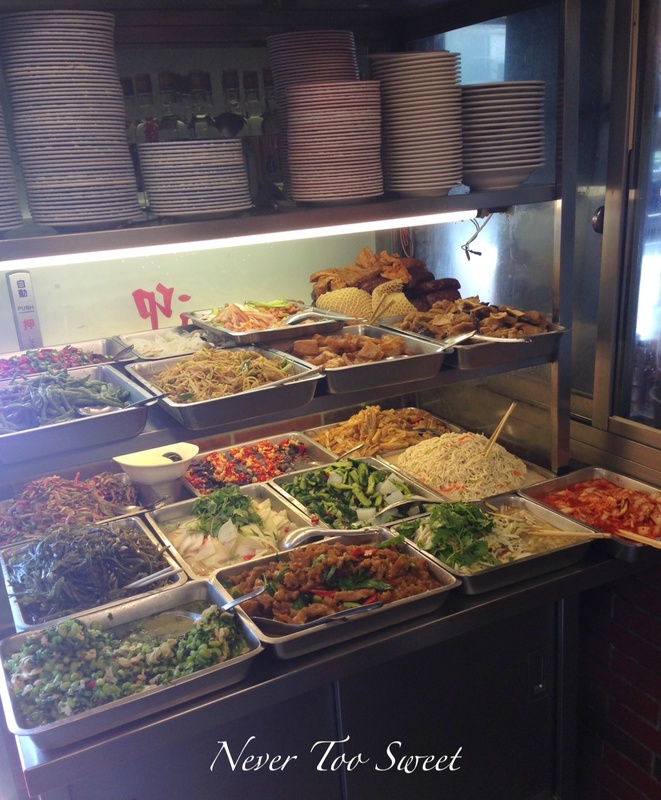 We started off with some cold side dishes, which you can see in the photo above, you go to the counter and tell the waitress what you’d like she’ll scoop it onto a plate and you will need to bring it back to your table. From the top left, we got a soy braised octopus, braised mung and also cucumber with konnyaku jelly. The octopus and cucumber had a nice hint of spiciness to it and these were great starter. Because it was our first meal of the day, we were pretty hungry. 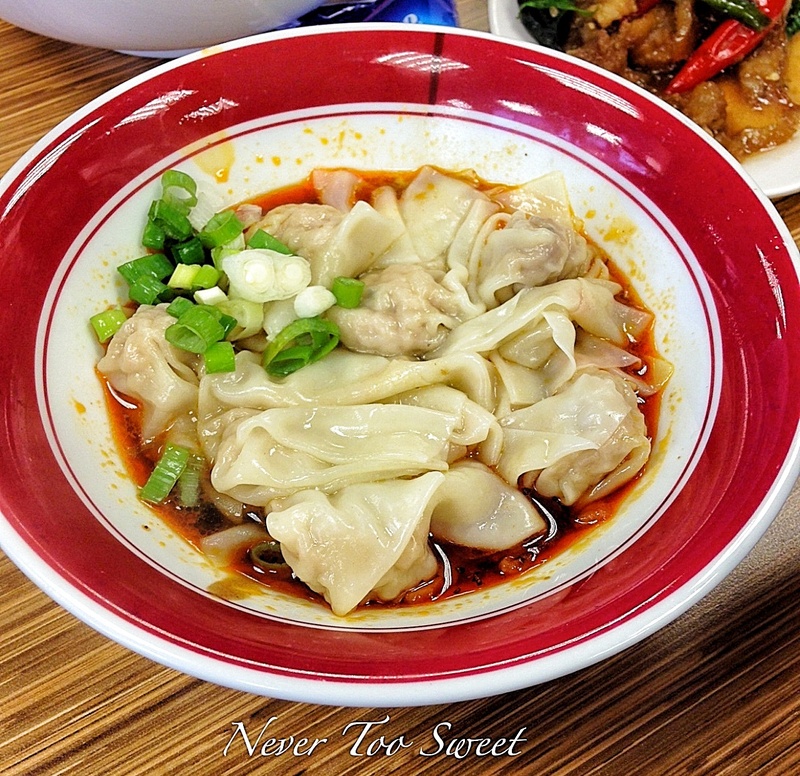 We decided try the wonton in chilli sauce as well. One of my favourite ways to eat wontons! A slight disappointment compared to the beef noodles, as I found the filling a little bland and expected the chilli sauce to be a lot spicier. 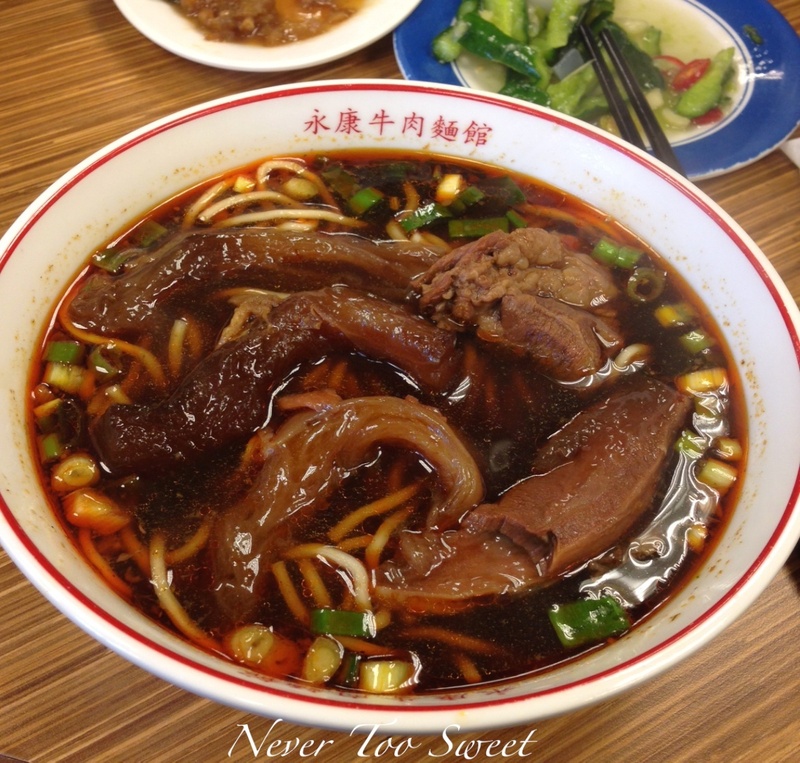 When I was doing research about Yong Kang Beef Noodles I found their website which is all in Chinese but the URL for their website is ‘Beef Noodle Master’ 😛 Find the name a little tacky but their noodles are everything but the best ~ really enjoyed our meal at Yong Kang, only advice is to get there early and go with an empty stomach! I’m sure long-time Readers will know my love for Taiwan 🙂 I go quite regularly and at least once a year I’m not sure what is it but I really like the food, people and culture there. 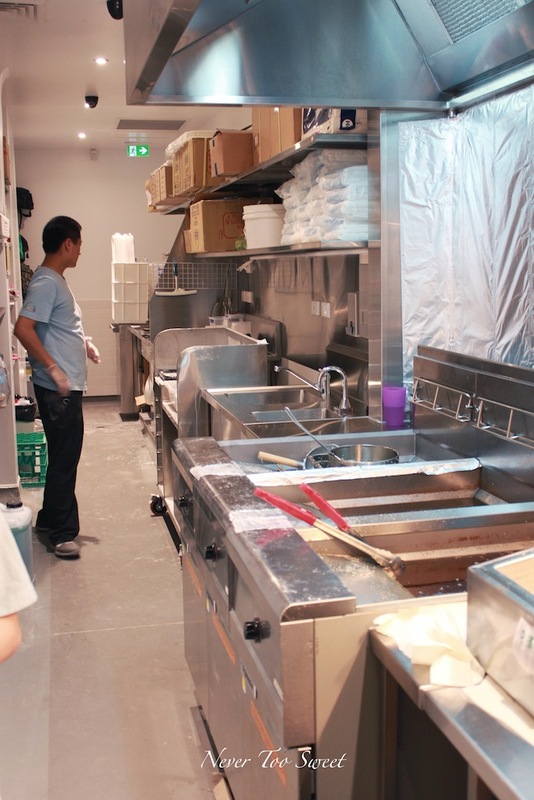 That’s why whenever a new Taiwanese franchise ventures into Melbourne I get extremely excited, because they satisfy my constant cravings for Taiwanese food. 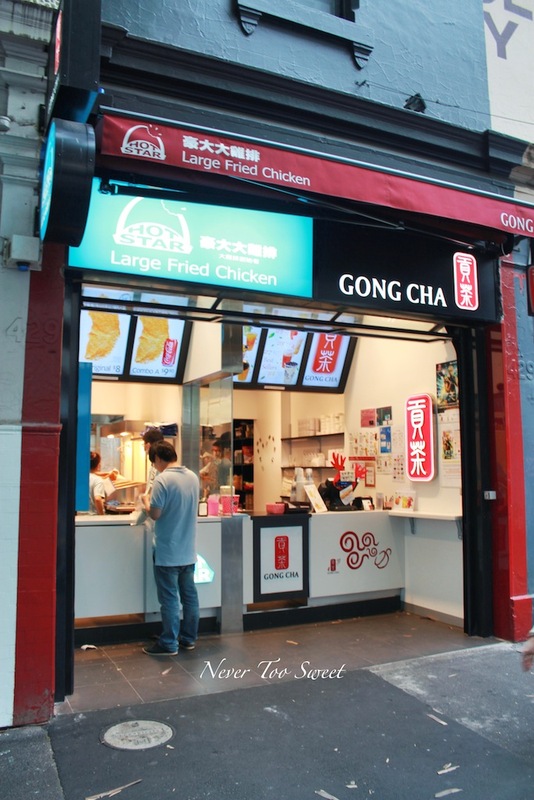 In the past year we’ve seen Chatime and Gongcha bubble tea outlets opening in Melbourne, this time it’s Hot Star Large Fried Chicken! 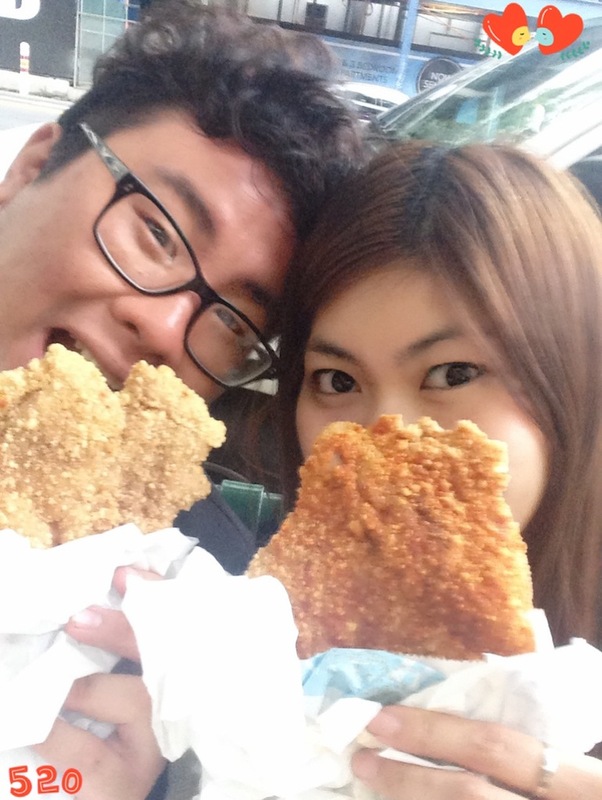 I have shared with you how much I like their XXL large piece of fried chicken in this previous post. So you can imagine I was thrilled that they were opening in Melbourne. Their first store opened a couple of months ago on the busy Swanston St, I have been meaning to try but have heard the long queues so wanted to wait until it died down a little. 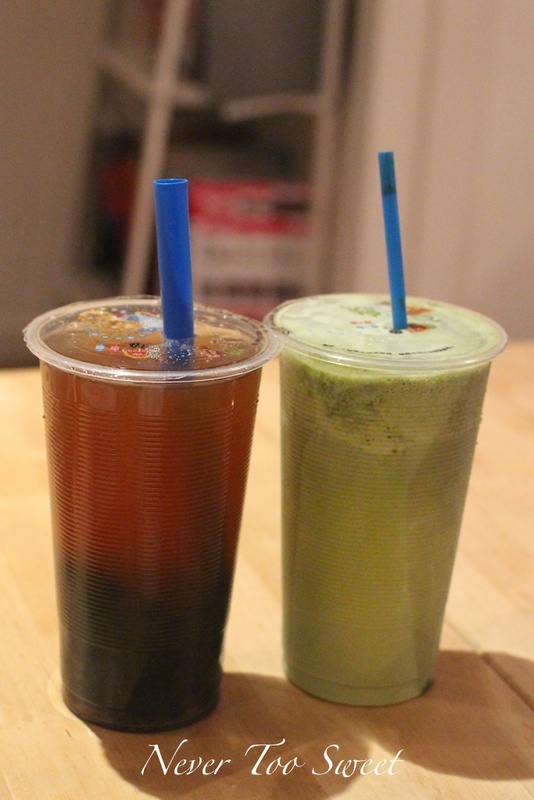 Then last week I got the good news that Hot Star was opening another store on Elizabeth St once again next to Gong Cha. Mr Bao and I went down to Hot Star at around 7:30pm and was very lucky to find parking right in front of the store. It looked very similar to the store they have in Hong Kong, where it is an actual store. 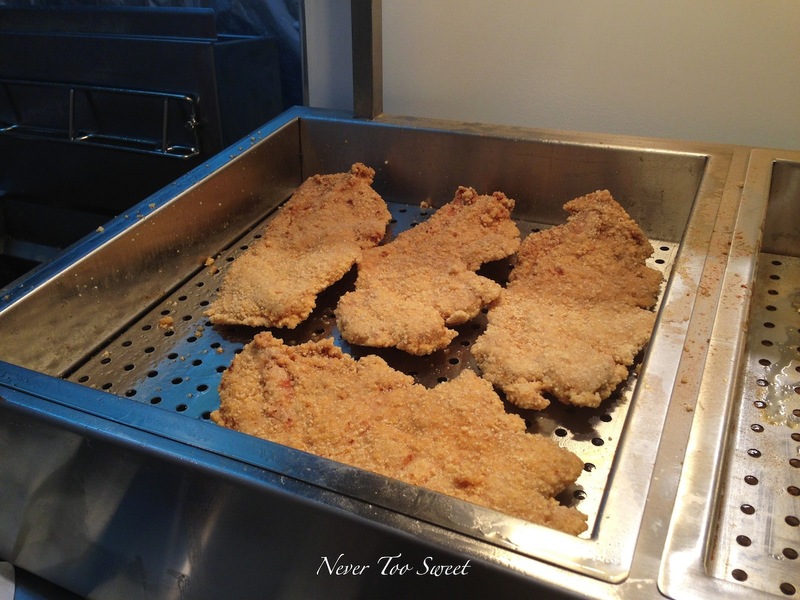 Compared to the ones in Taiwan night markets the fried chicken is sold at food stalls. We met Prima the store manager that and was given a tour of the narrow store. 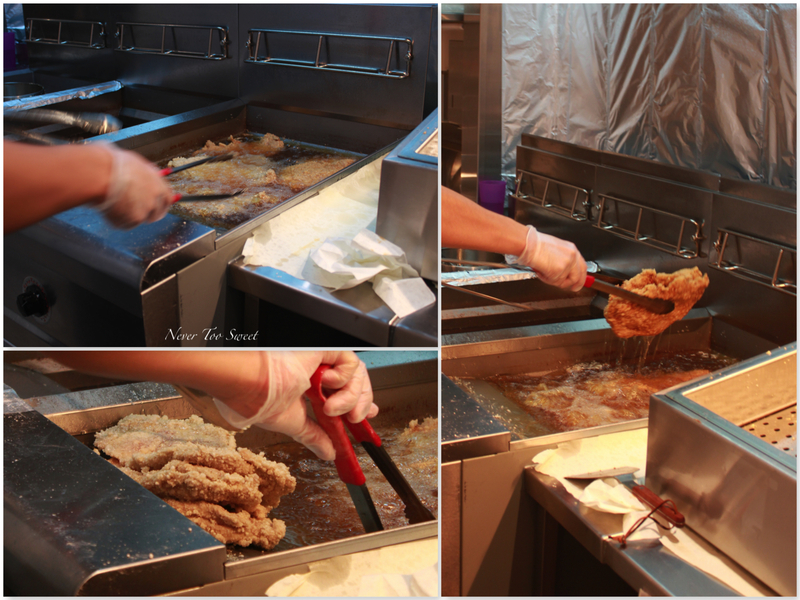 It was really interested to see the fried chicken cooked in front of us, Prima explained that they take quality control very seriously. 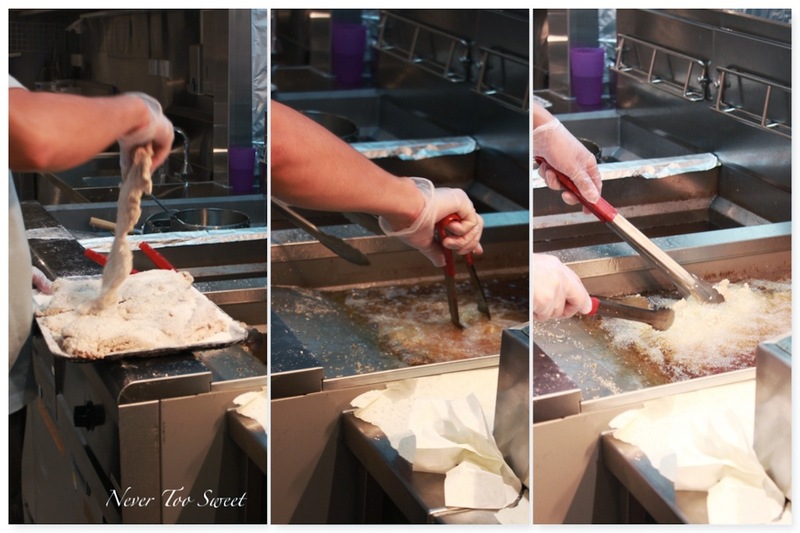 The staff have been flown to Taiwan to learn how to marinate the chicken, coat it in the special batter and deep fry to make it crispy delicious but not too oily or greasy. All ingredients except for the chicken breast (they source locally) the rest are imported from Taiwan to hopefully replicate the same taste and flavour in Melbourne. 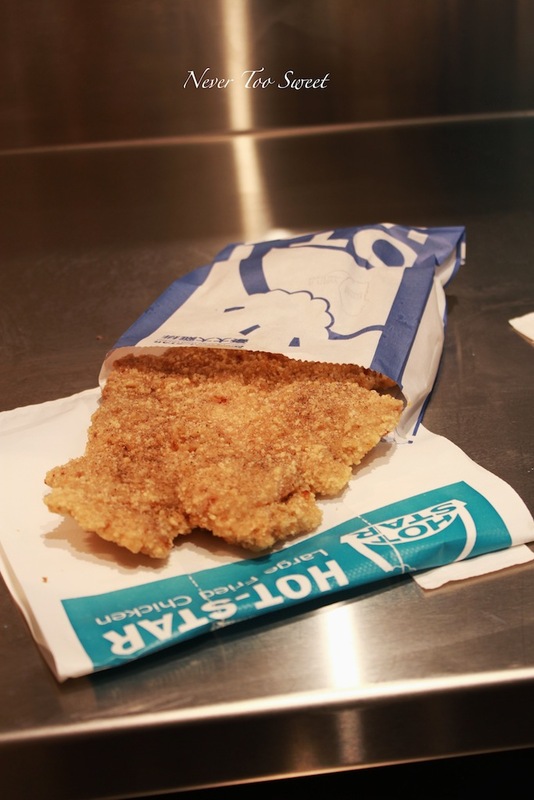 The fried chicken at Hot Star is renown for their huge size, but because it is so thin it only takes about 5 minutes for it to be cooked in the deep fryer. It is then placed on the drying rack where it will air dry and crisp up before another flavoured powder is sprinkled over it. Our dinner on Friday night as a XXL fried chicken each and a cup of Gongcha. 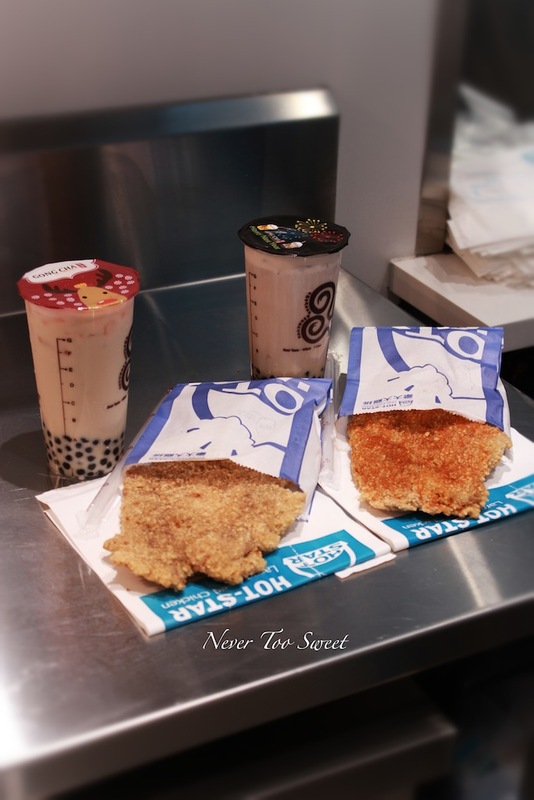 I can’t think of a better drink to pair with the Hot Star friend chicken, I chose the Milk Tea with pearls while Mr Bao got the Milk Tea with Honey and pearls. 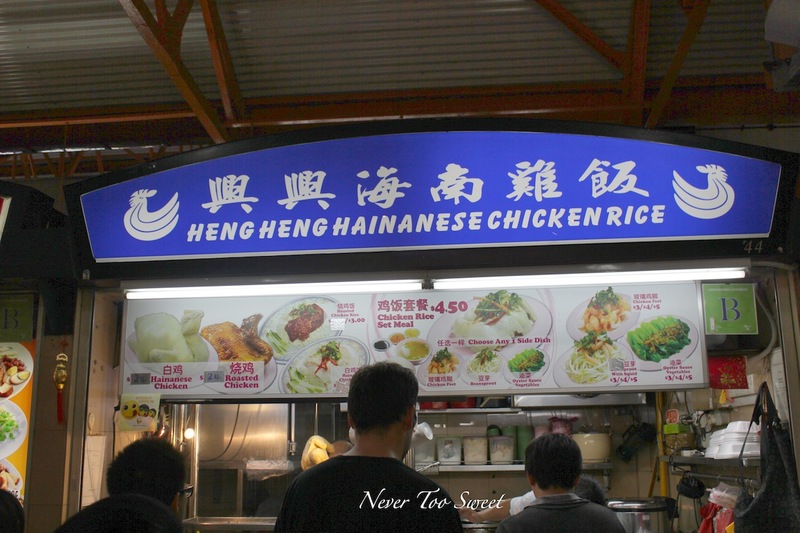 Mr Bao opted for the fried chicken with only salt and pepper and not of one of the flavoured powders. We were both so impressed of the taste and texture of the fried chicken, I honestly think it is on par with the ones in Taiwan. Except the flavour of the chicken is a little different, as Prima suggests the type of chicken and how they’re bred is quite different in Taiwan compared to Australia. Mr Bao and I were so obsessed we actually drove back to Hot Star last night at around 9:30pm and they were already sold out! We didn’t expect them to be so popular 😦 will need to go back another time. I really urge all Fried Chicken fans no matter if its Southern Fried Chicken, Korean Fried Chicken or good old KFC, you need to try Taiwanese Fried Chicken and Hot Star! Hope you will like it as much as we do! 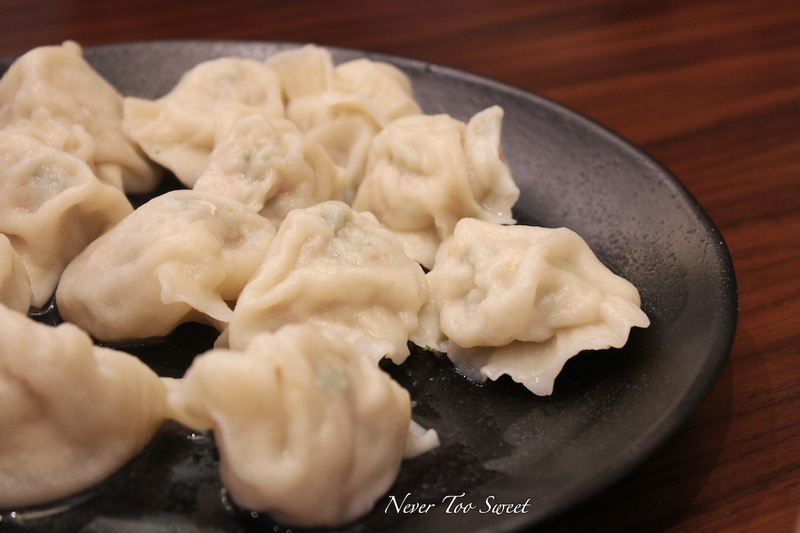 Dumplings, I’ve grown up eating them 🙂 On my Dad’s side our family originated from Shanghai so we eat dumplings like Xiao Long Bao, probably one of the most known dumplings ~ But technically they’re supposed to be little buns because Bao means buns. While on my Mum’s side they’re from the Canton reason so the dumpling they eat are more like dimsims and Shu Mai are definitely my number 1 favourite! 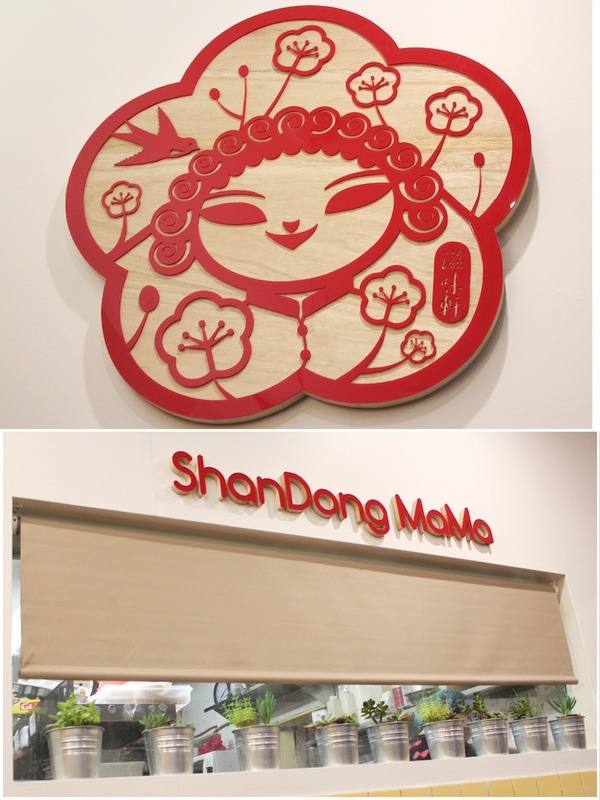 Finally a few weeks ago, we so happened to be in the city catching up with Yue and they once again came to me for suggestions and I immediately said “ShanDong Mama”, especially since they were driving hahaha I called up before but was told that they didn’t take bookings. 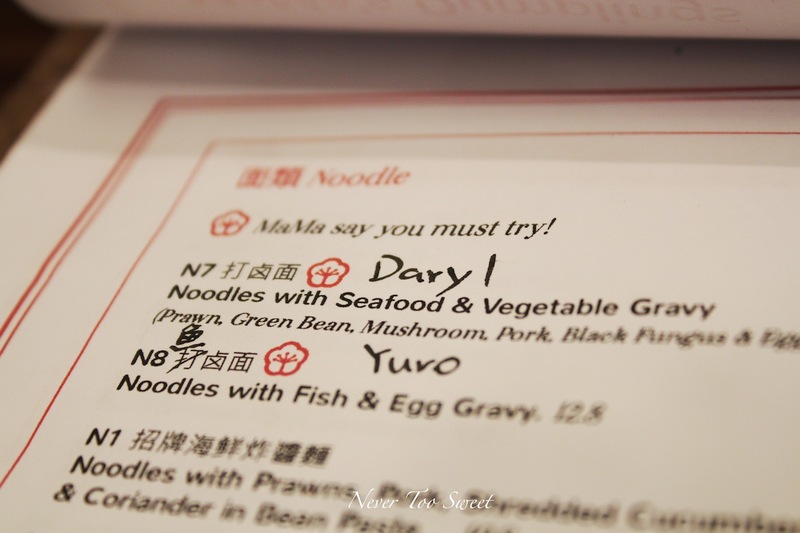 We flicked through the menu and found a good range of dishes and not just dumplings, it also offered side dishes, snacks, rice and noodle dishes but of course no dessert 😦 We had a bit of a laugh at when we saw this ‘translation’ on the menu ‘Yuro’ and ‘Daryl’, we suspect it’s because it’s too hard for people to pronounce the Chinese translations. 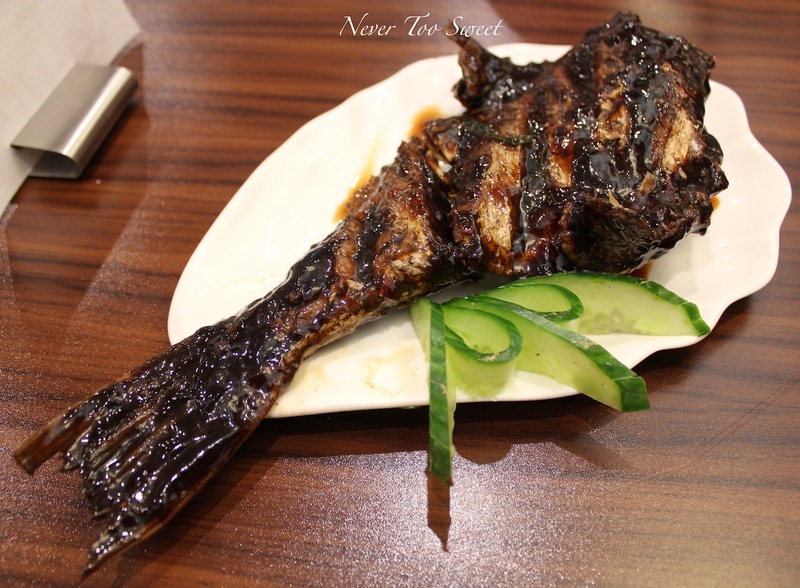 As an appetizer we ordered the homemade smoked spiced fish, it’s a dish that my grandma makes at home all the time, but I know there are many versions of it and uses different types of fish. I’m not really sure what fish this was but for $8, we thought it was a very generous serving. 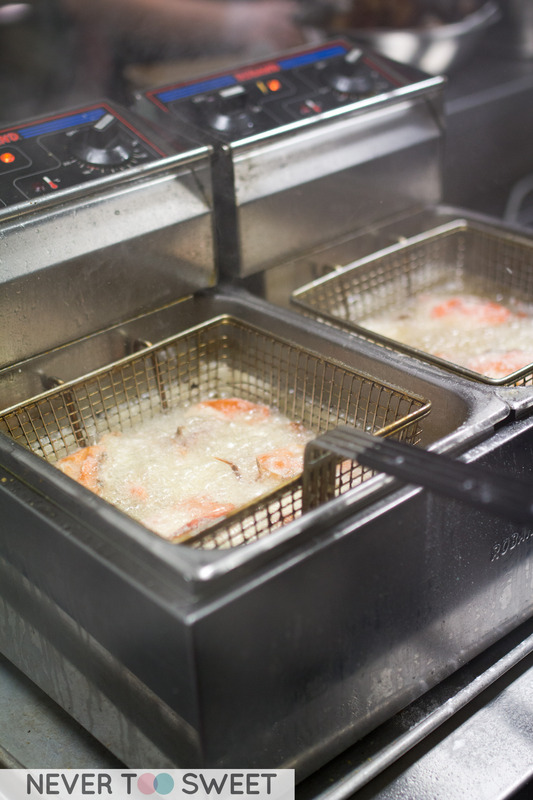 If you haven’t had Chinese smoked fish before, the fish pieces are marinated in Chinese spice such as ginger, Chinese rice wine, soy sauce, star anise and then deep fried in peanut oil. It is then tossed in sticky sweet sauce very similar to those used for the marinade 🙂 This one didn’t feel like it was deep fried instead it was pan fried then covered in sauce. Either way it was quite good, even though Mr Bao thought the sauce was a little sweet. 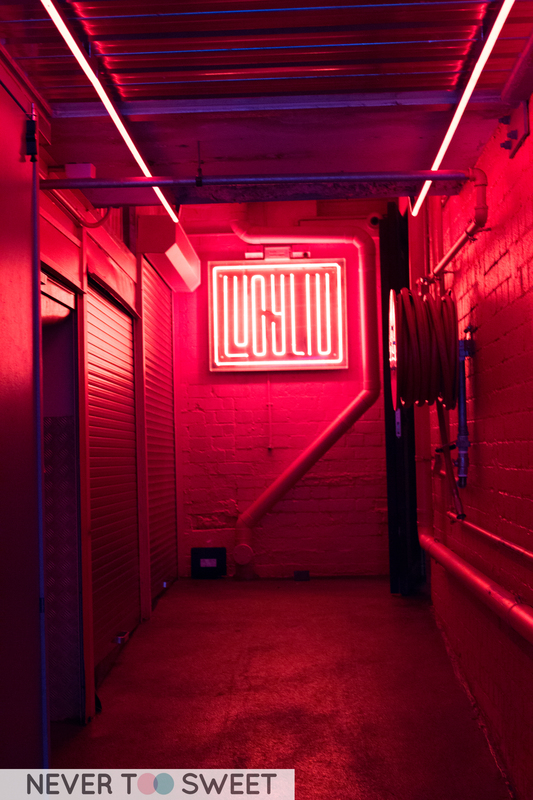 Initially we wanted the Daryl, but they had sold out so we opted for the Yuro. 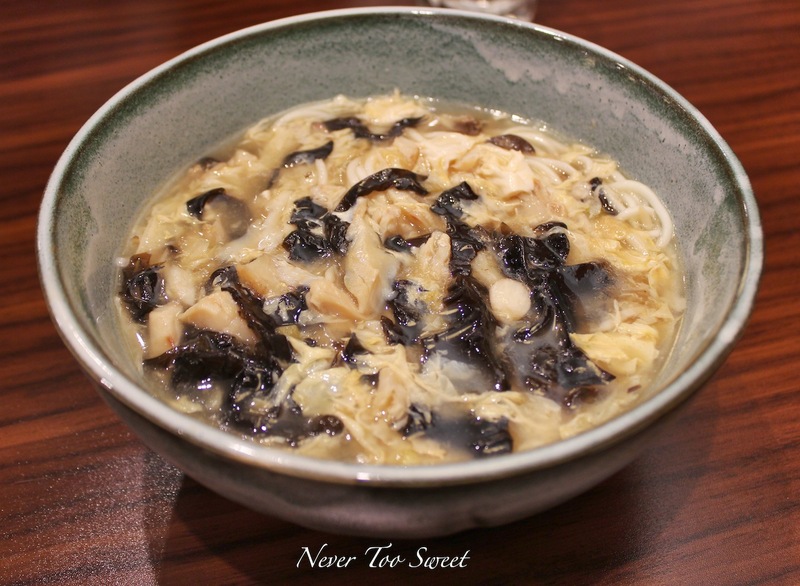 Still a good choice, with noodles and fish pieces and lightly scrambled eggs through a thick sauce that they called gravy ~ We really liked the flavour of the fish and the chewiness from the black fungus. 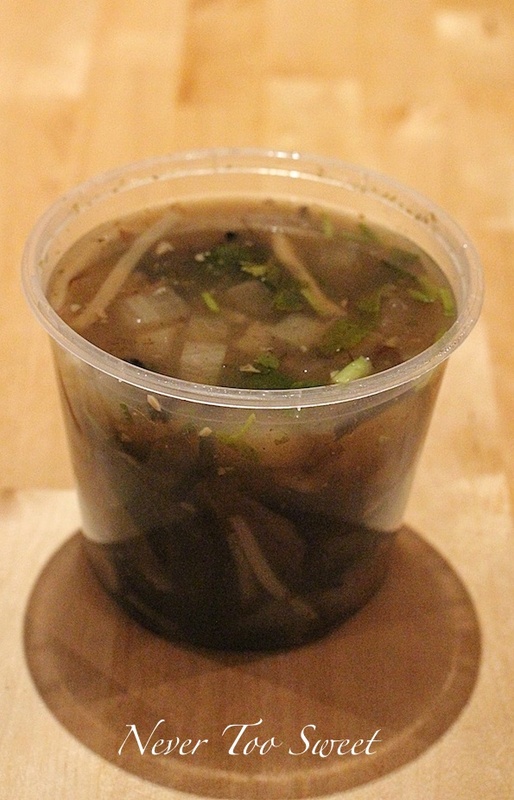 The gravy was quite thick and I think we would’ve preferred if it was thinner and more like a noodle soup dish instead. 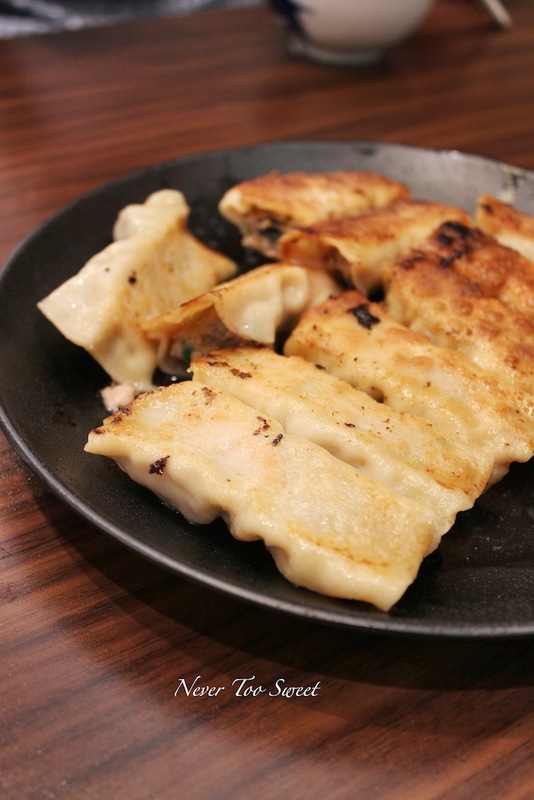 Wanting to try both steamed and pan-fried dumplings, we started off with the Melbourne Dumplings steamed. I was very curious to what filling it will have and how will it reflect ‘Melbourne’ 😀 Turns out it was a combination of diced seafood, chicken mince with lemon zest, olive oil, parsley and garlic. I liked the diced seafood with prawns, calamari, mussels fish and also chicken but I found the lemon zest and parsley to be a little out of place but still tasted nice. 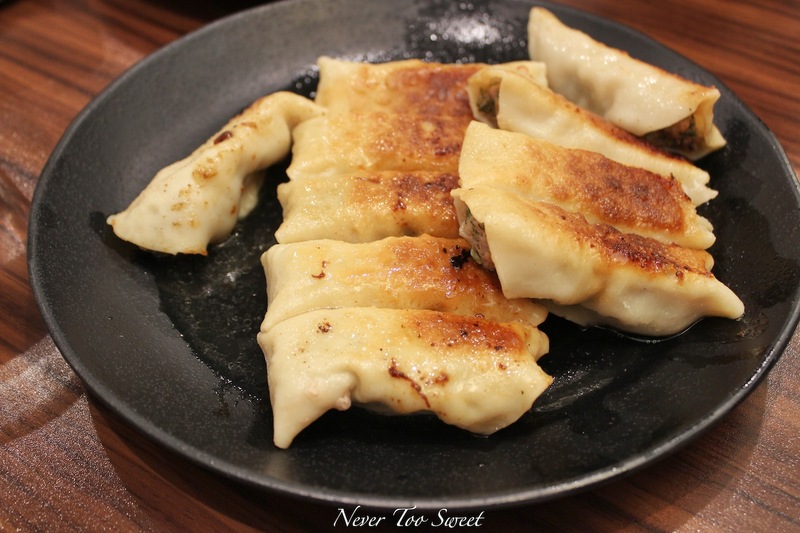 Another funny name for dumplings the ‘Dill-icious’ pork fried dumplings hehe the filling had pork mince, fresh dill, spring onions, ginger, dried shrimps and a sesame oil. The dill really gave the dumplings extra flavour along with the dried shrimps and sesame oil, was the favourite dumplings of the night. Both dumplings looked very similar so thought I’ll take a photo of them both together to show you what the filling looks like inside ~ The dumpling skin was a good consistency and not too thick, I also liked the crispy bottom. We caught an early flight from Melbourne and arrived at Singapore at around 5pm, we quickly checked into our hotel (Hotel Ibis Beecoolen) and immediately jumped into a cab to our first stop Maxwell Food Centre. We were intending to go to Tiong Bahru Market but the taxi driver suggested that we go to Maxwell instead as it was closer to us. Someone has once told me, taxi drivers are one of the best tour guides as they consistently drive through the city, so we took his advice. As we walked in, Maxwell Food Centre reminded me of some of the food courts that can be found in other Asian cities, but it was very clean clean and organised. No wonder every comments that Singapore is super clean. Even though the food centre isn’t air conditioned it does have fans to keep patrons cool. I couldn’t believe that all this food was only $4.5SGD which was an equivalent of $3.7 Australia dollars! 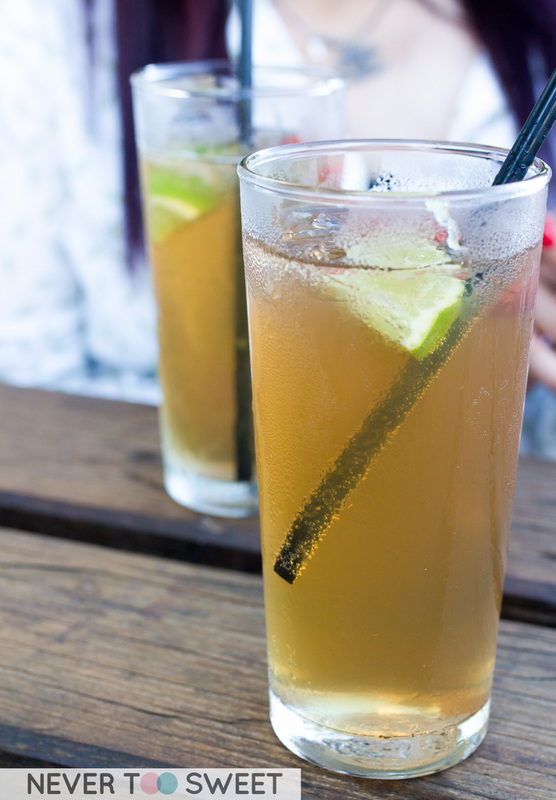 We can barely buy a drink with that here in Melbourne! Mr Bao was super hungry and got extra rice for 50c more ~ The chicken was boneless but more importantly it was tender and succulent covered in the essential soy sauce. Next was the oyster omelette, I’m not really sure if this is a Singaporean dish but it was very similar to the Teochew oyster omelete I’ve had before in Hong Kong. It was made to order and piping hot, a lot of egg yolks must have been used as it had a strong egg flavour and also had little oyster mixed through. 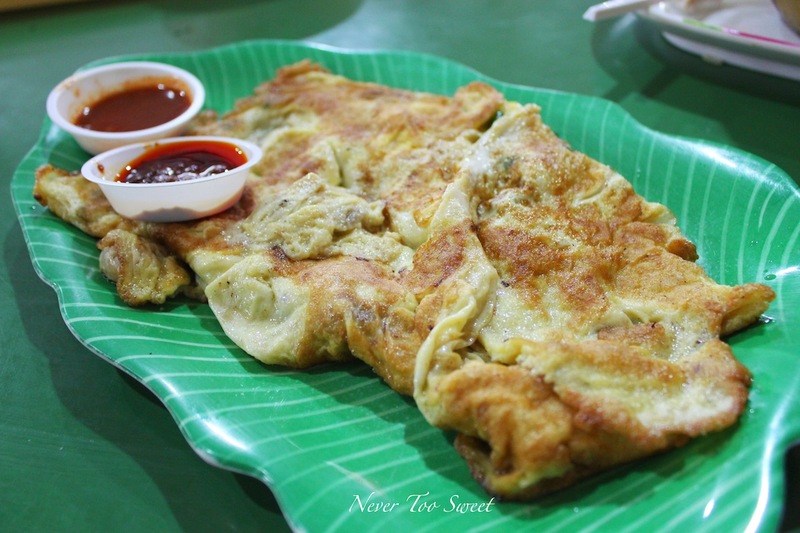 It was most delicious when dipped in the sambal sauce. 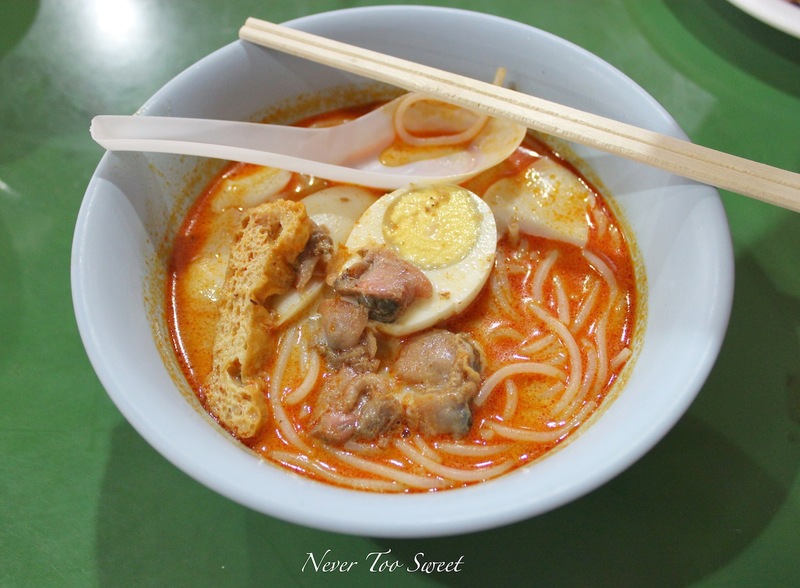 Once again I was in disbelief when Mr Bao told me that this bowl of laksa was only $3SGD! How is it possible to make something so delicious yet sell it so cheap 😀 The coconut curry soup was so much stronger and spicier than the ones I’ve had and also liked the addition of clams instead of chicken. We also liked the fish balls as we found them be firmer and with more flavour. 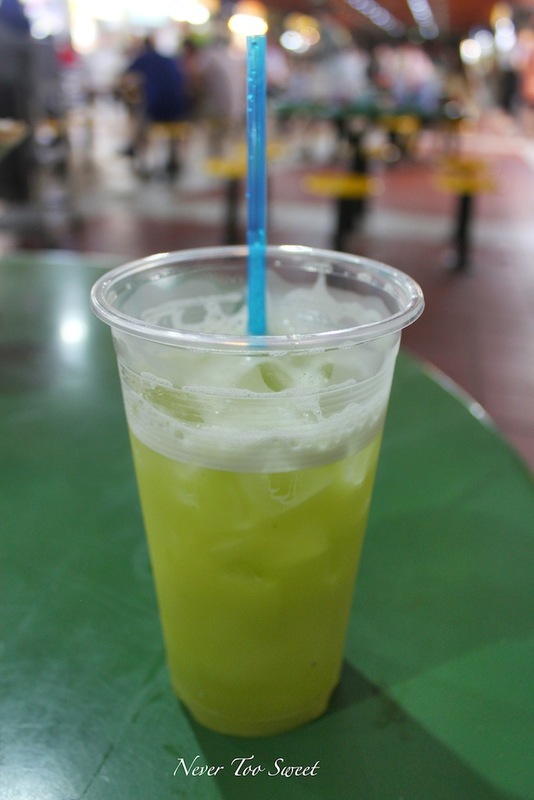 Starting with the Sugar Cane juice, we were so excited to see this on sale as it’s becoming hard to find these freshly squeezed sugar cane juice in Hong Kong. 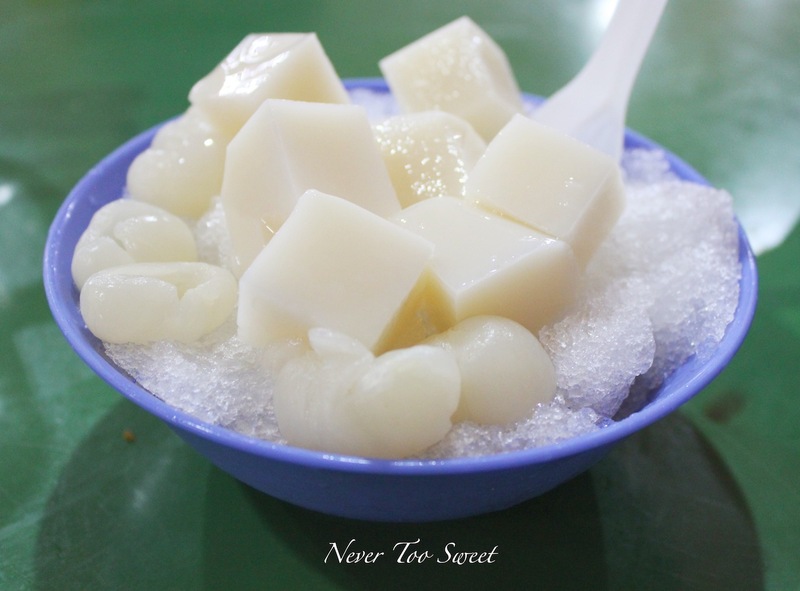 It was sweet but not sickly so and definitely helped quench Mr Bao’s thirst and cool him down a little. I’ve never seen such a HUGE coconut! 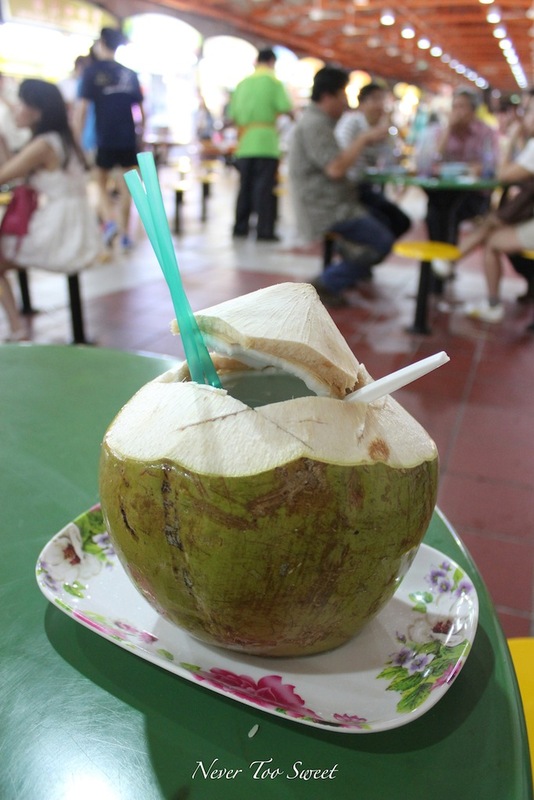 But then realised it’s a young green coconut so it hasn’t matured, I found the juice to resemble very much like water but with subtle taste of coconut. I think I prefer the young coconuts as the juice is much sweeter 😛 Having said that the flesh I had lots of fun scooping out the flesh from this young green coconut! I thought that was enough drinks, but Mr Bao was still thirsty so we grabbed a Teh Tarik from Soon Li Coffee, but was a little taken back when the owner was quite rude and gave us a hot Teh Tarik when we asked for a cold one. 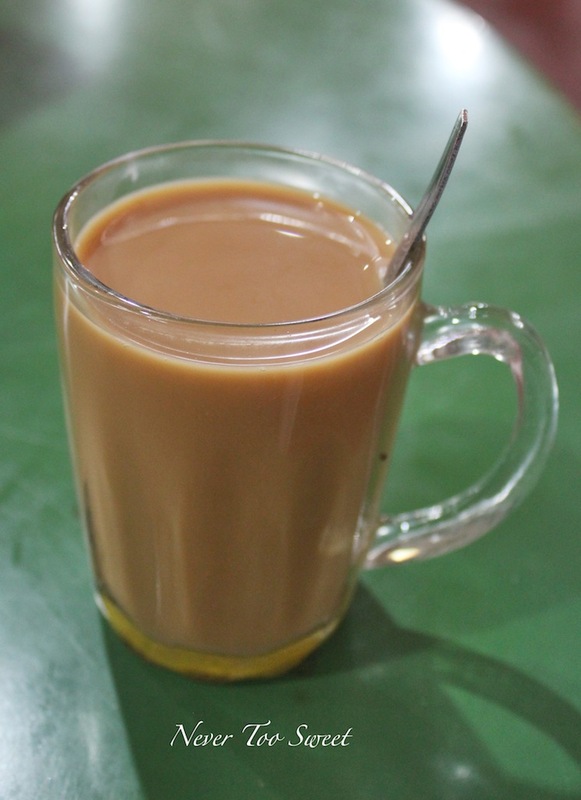 The Teh Tarik itself was quite good but it wasn’t as strong as I expected and was slightly watery as not as creamy but was still nice. 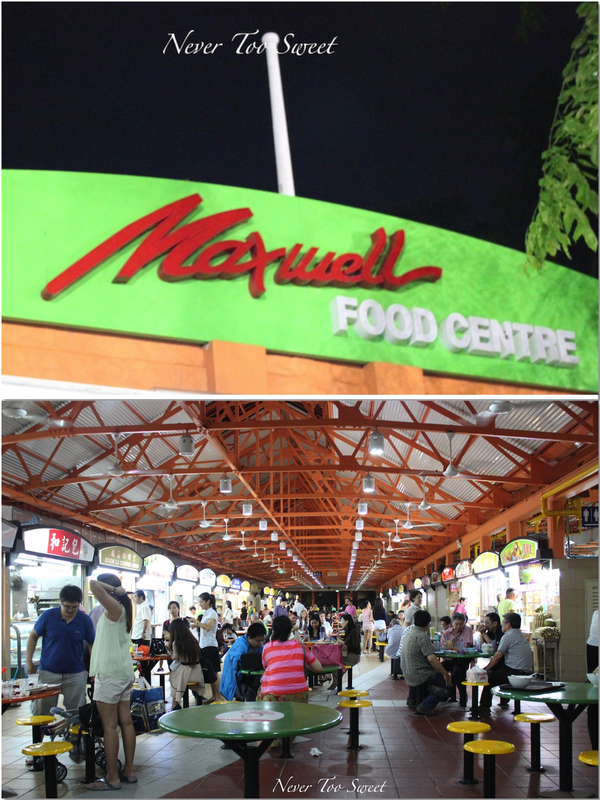 If you stayed around the China town area, we would definitely recommend you visiting Maxwell Food Centre as it’s a great place to get a taste of local Singaporean hawker foods. 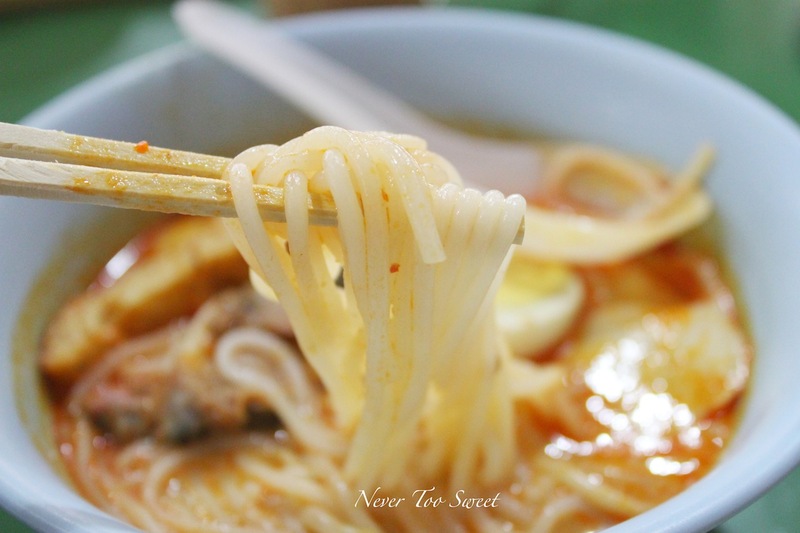 You’ll find yourself leaving with a very full and satisfied stomach and only having to spend $10 or so Singaporean dollars!